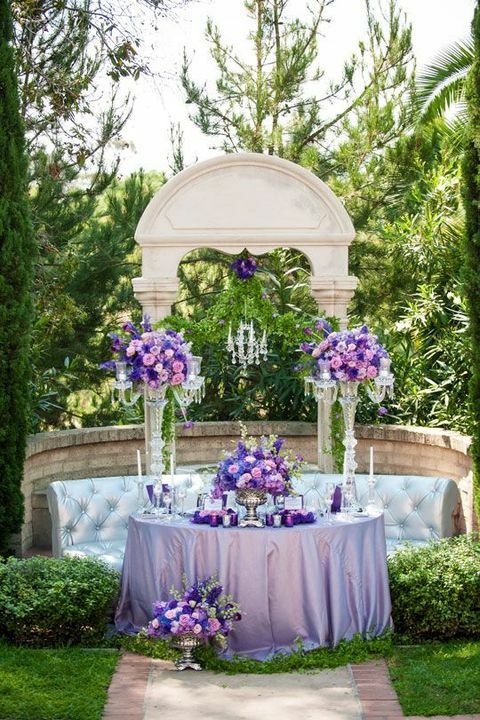 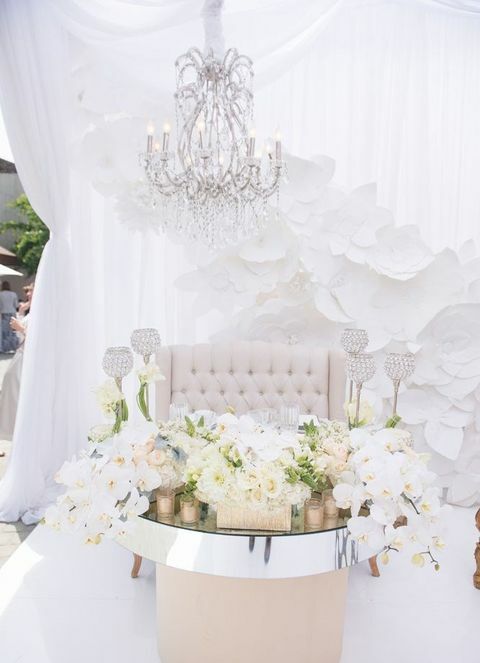 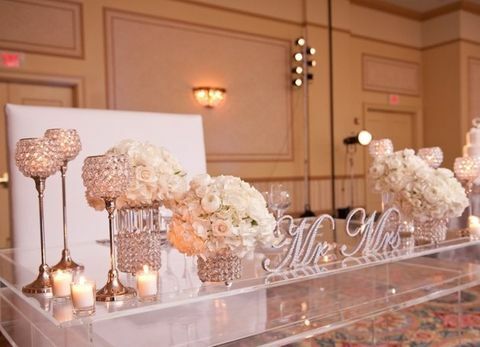 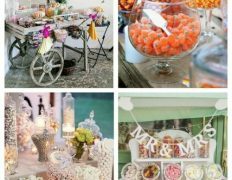 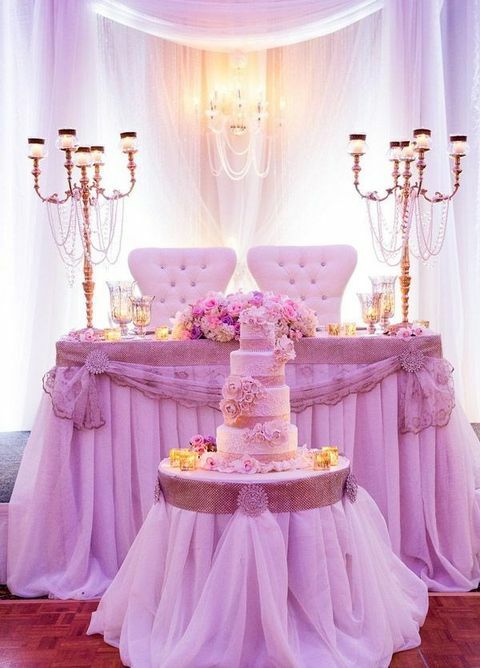 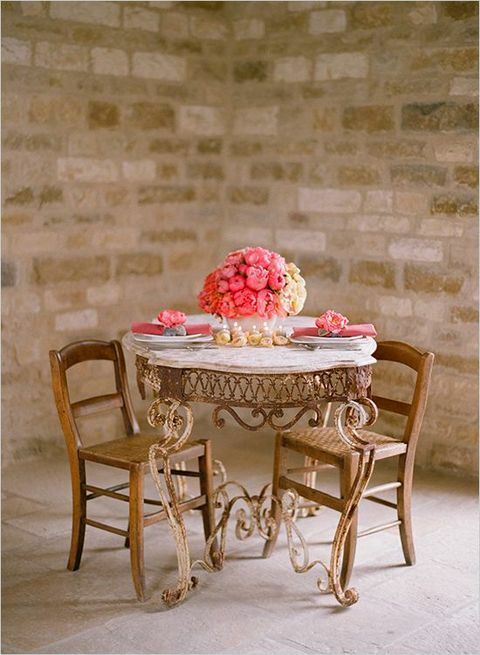 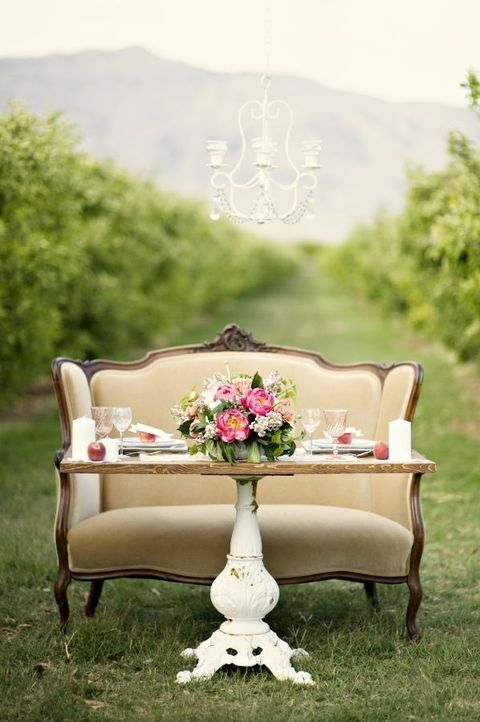 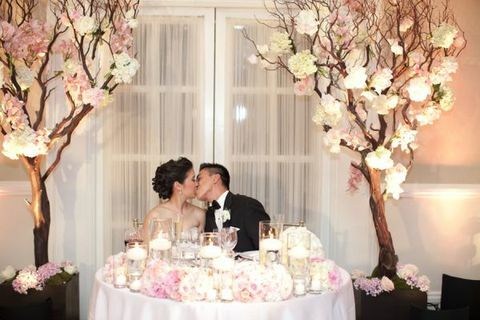 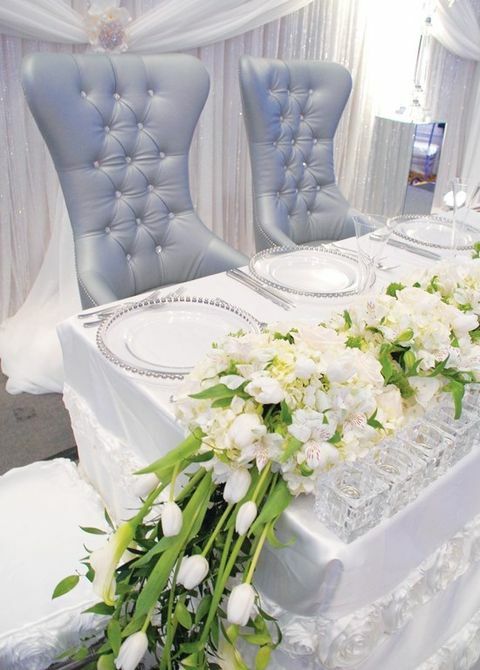 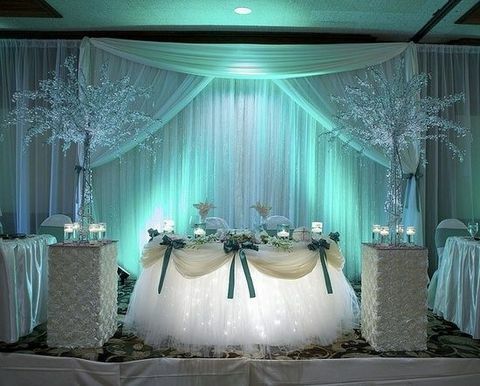 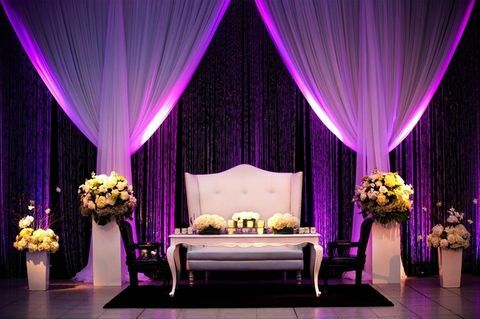 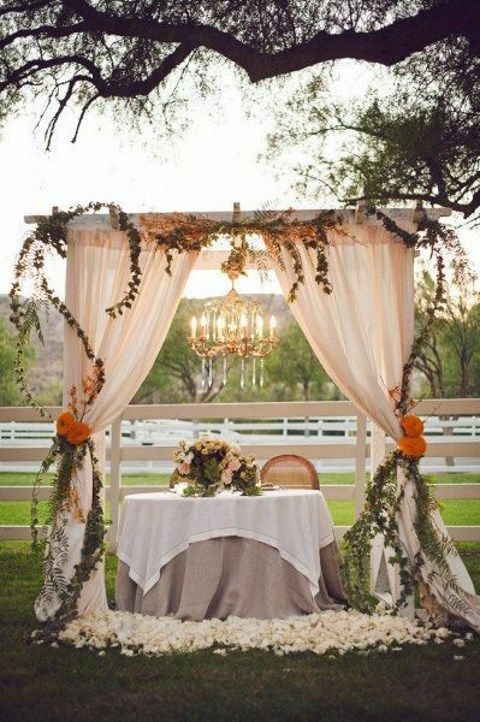 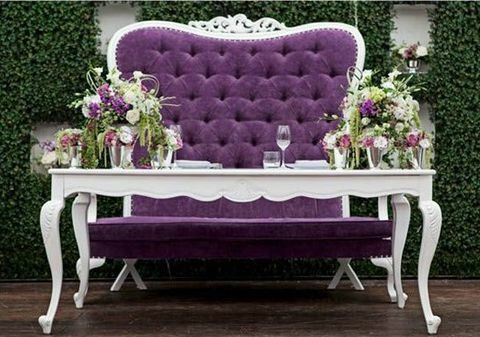 A sweetheart table is the main place at your wedding reception and it should excite and highlight your style and theme. 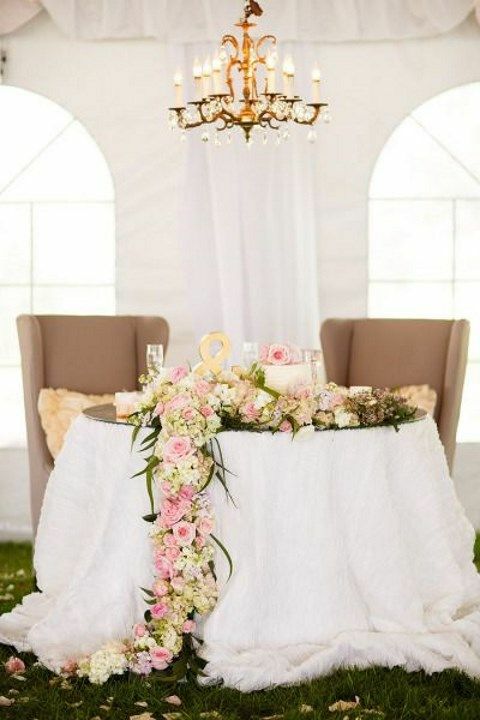 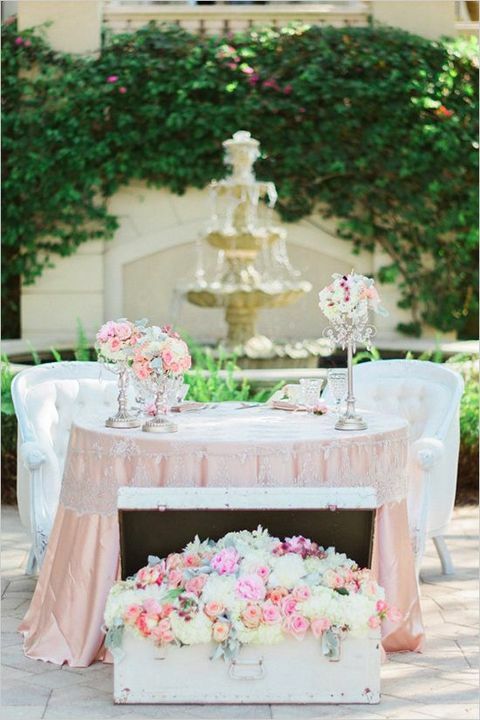 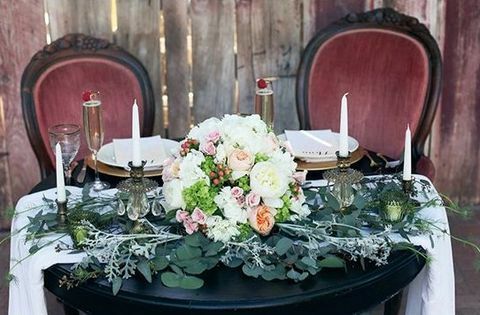 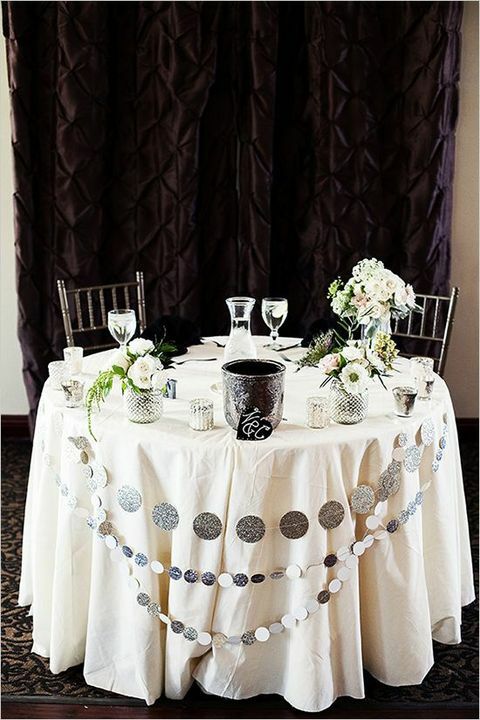 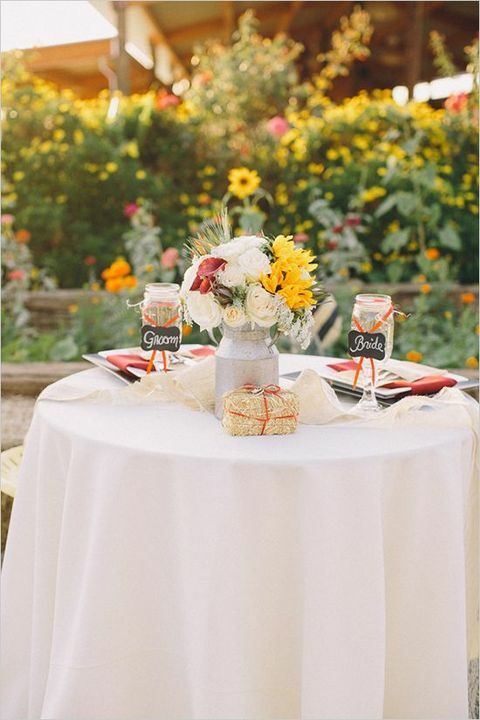 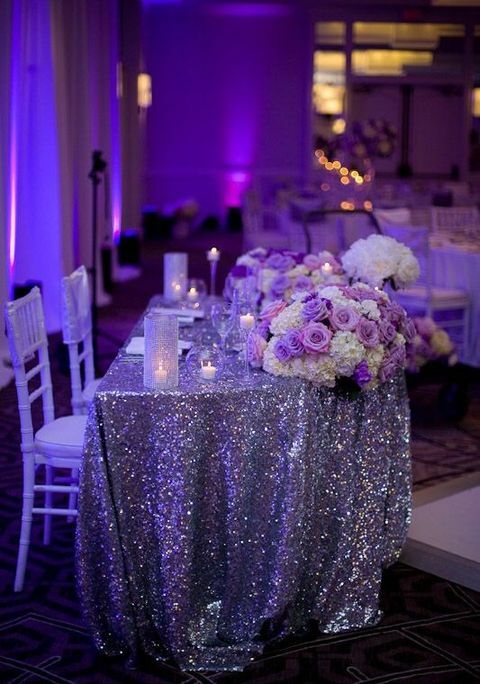 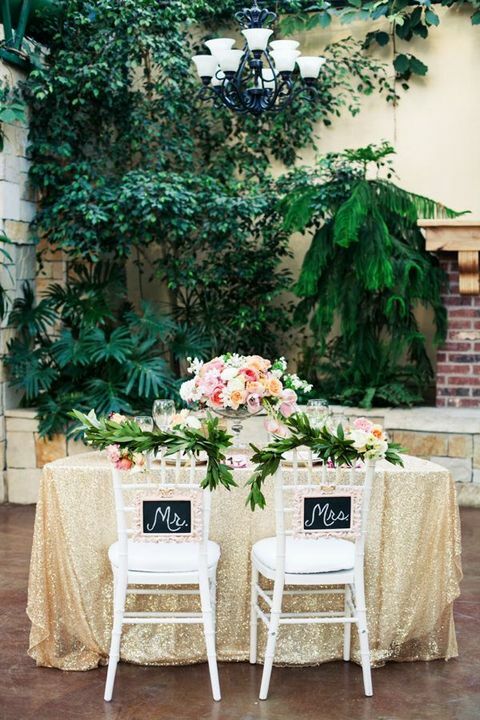 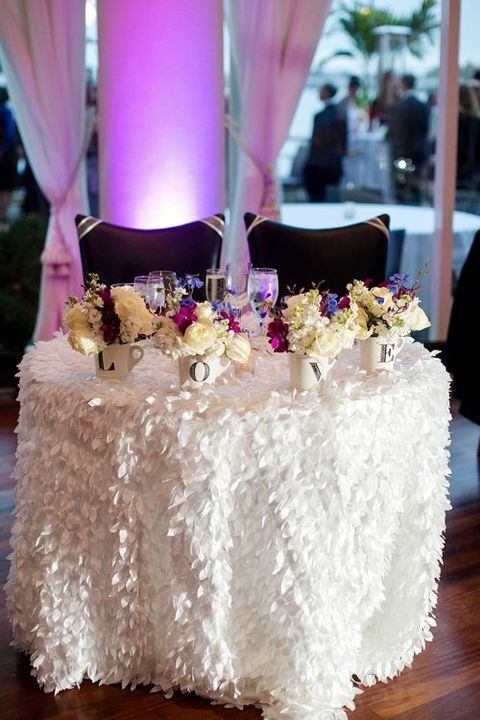 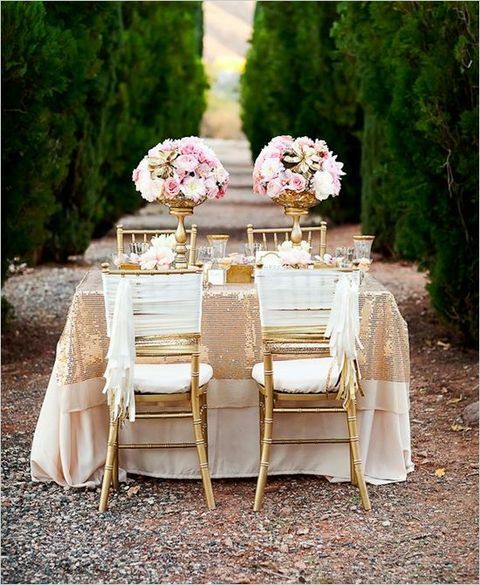 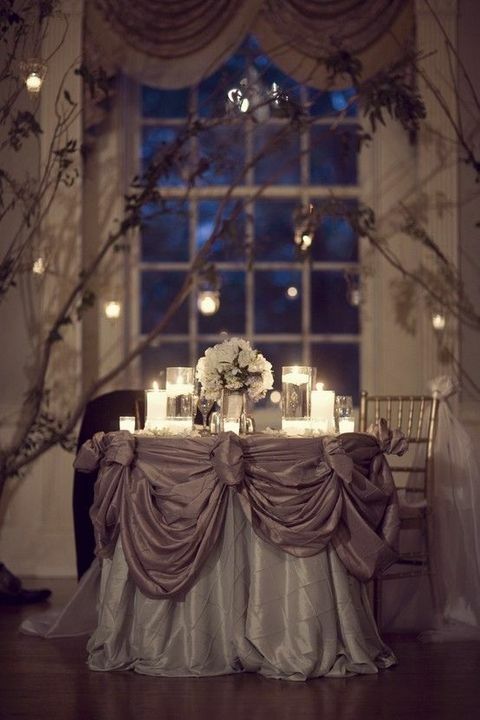 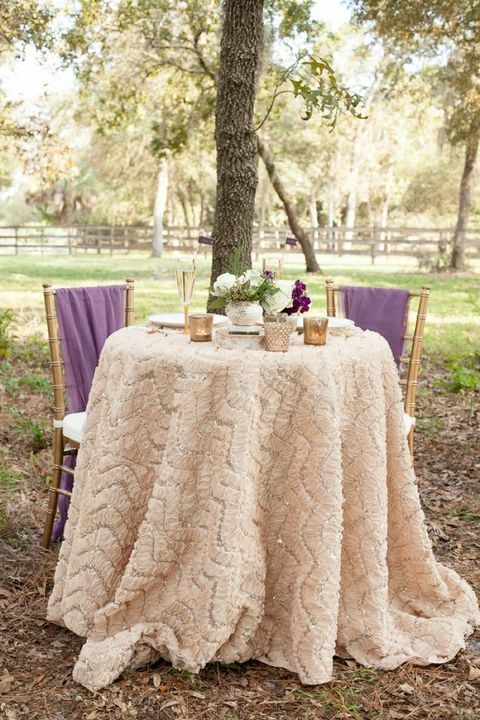 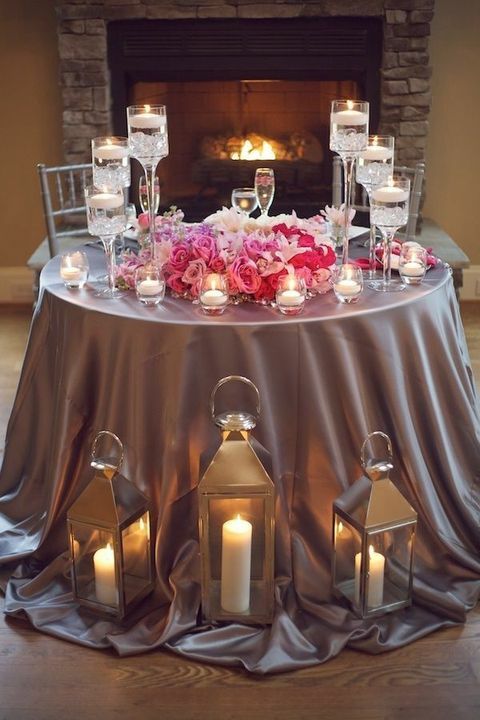 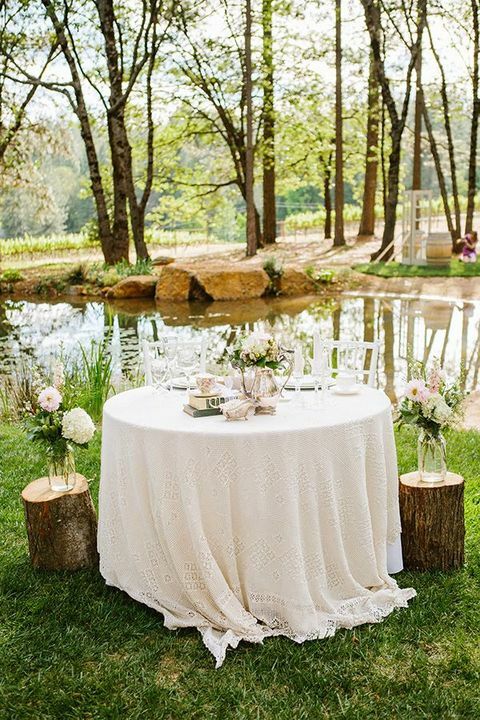 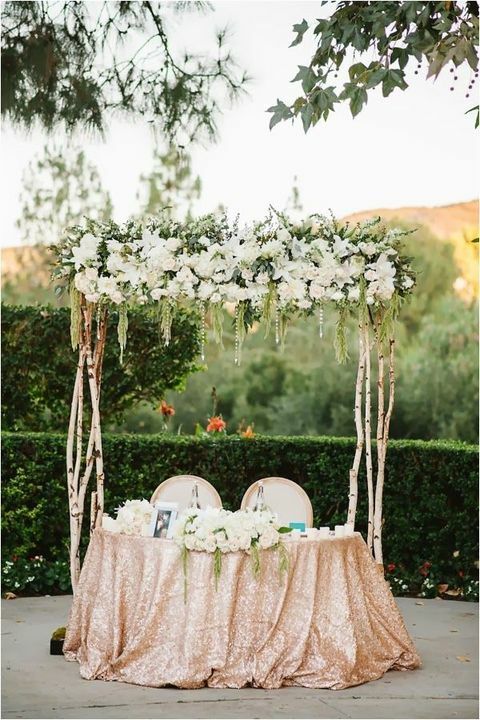 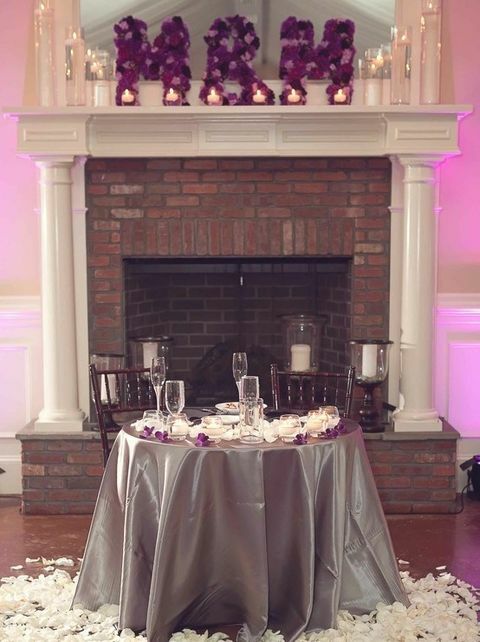 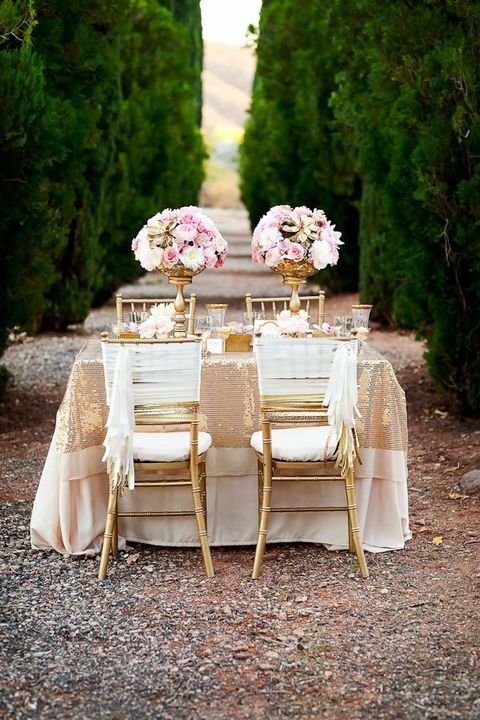 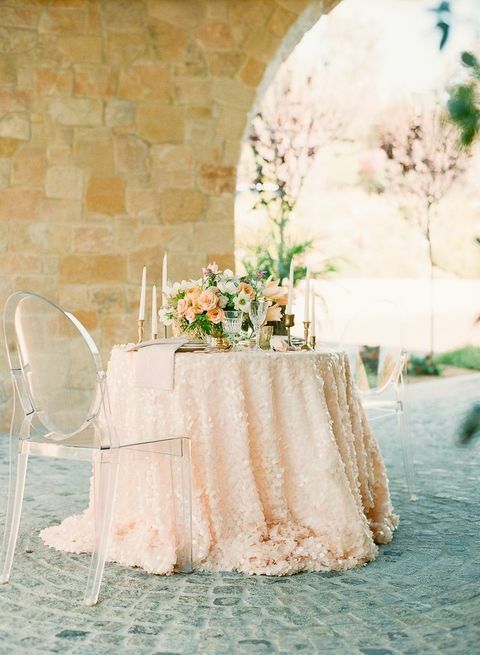 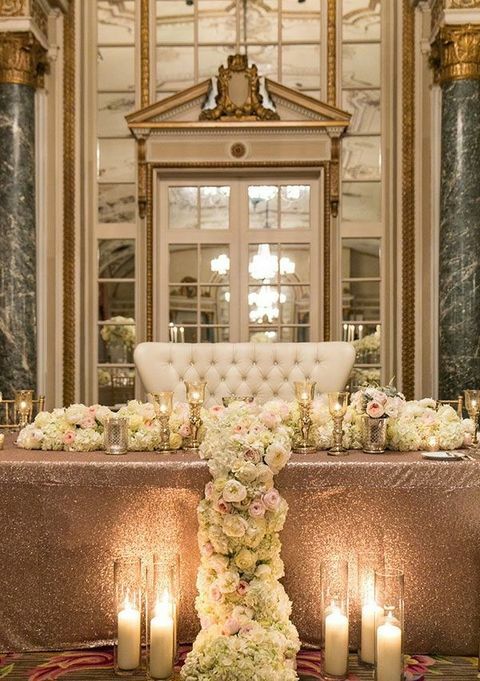 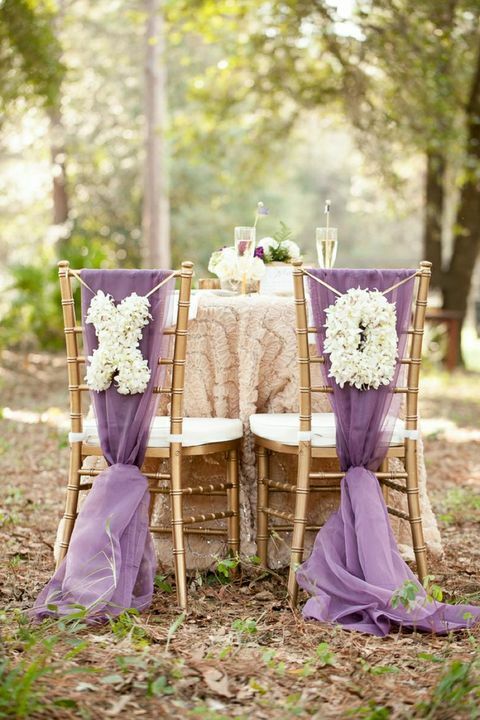 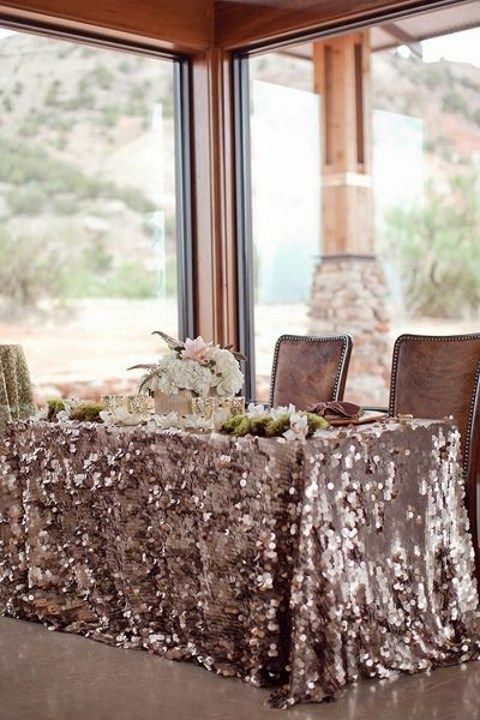 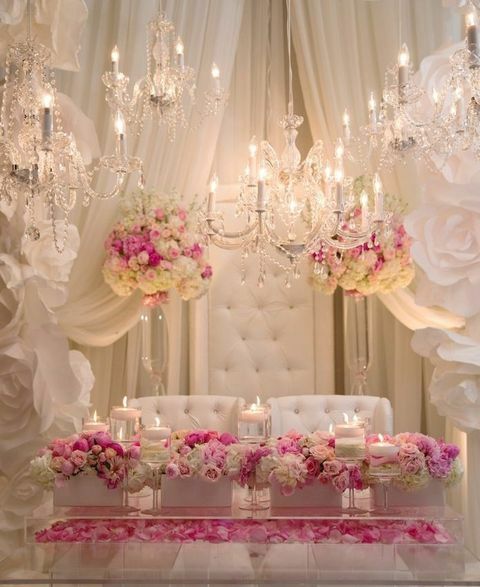 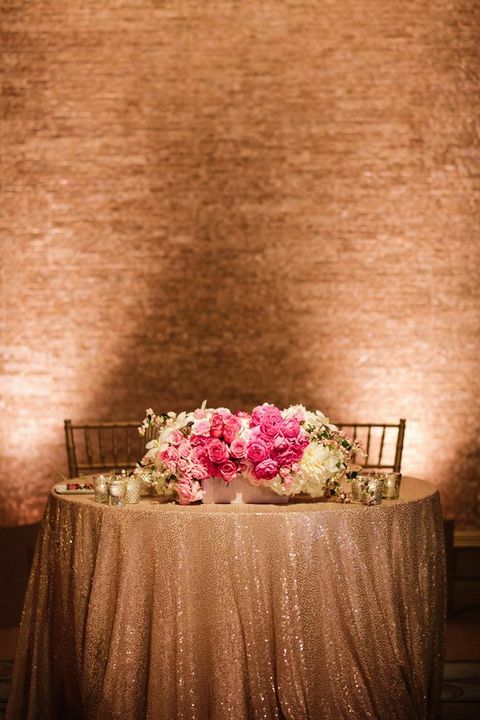 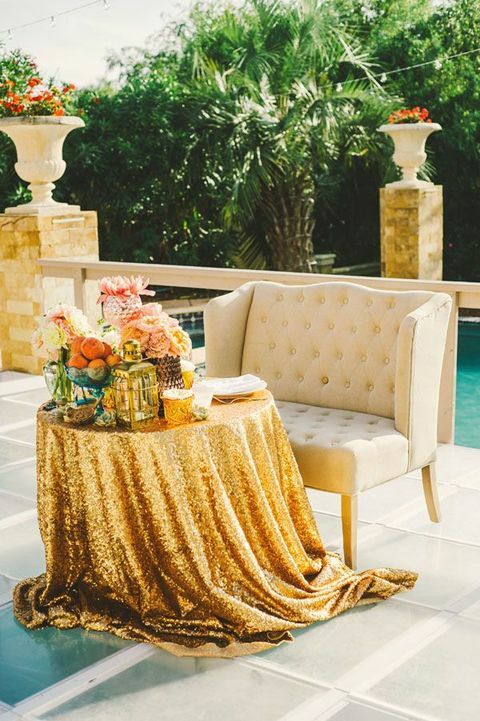 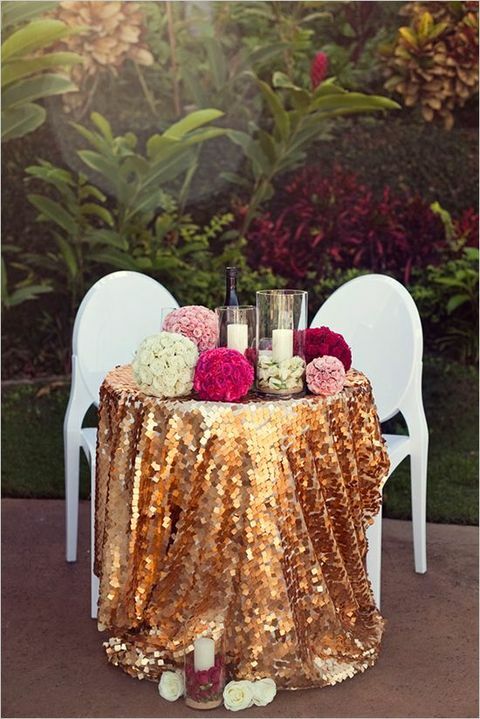 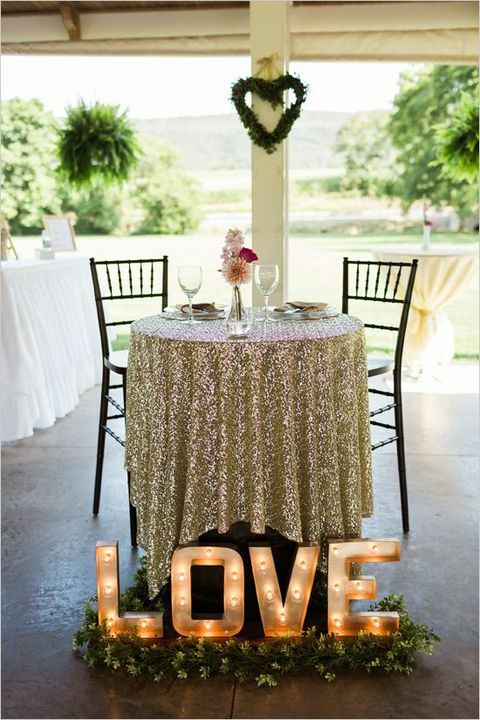 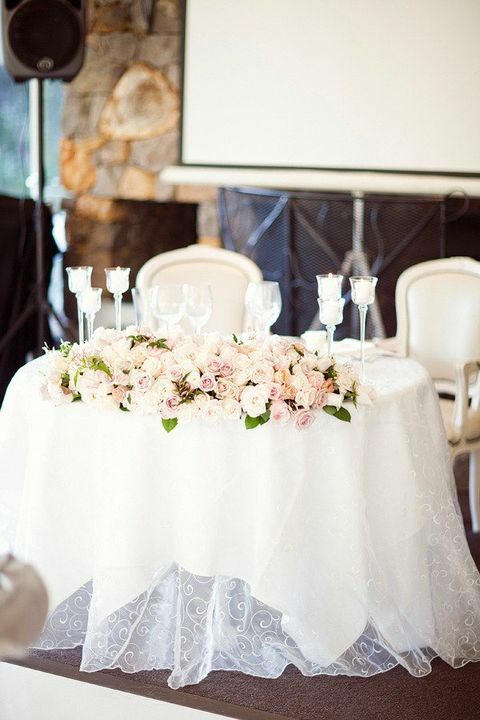 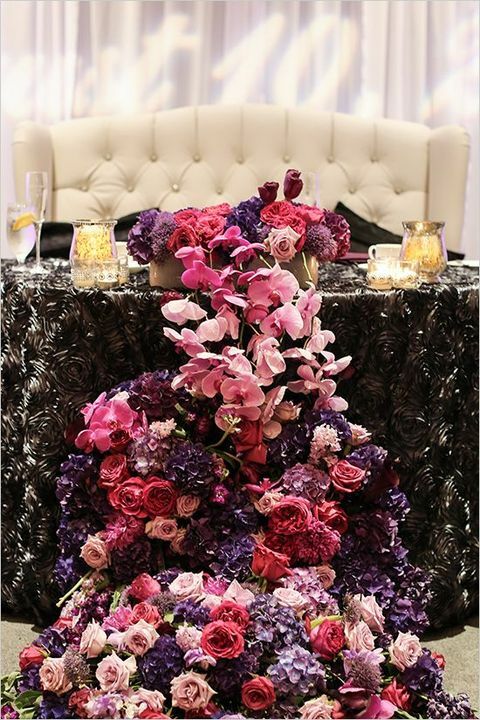 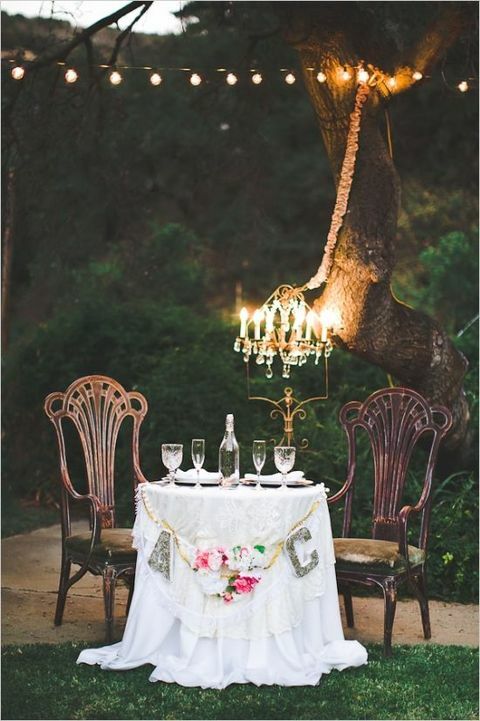 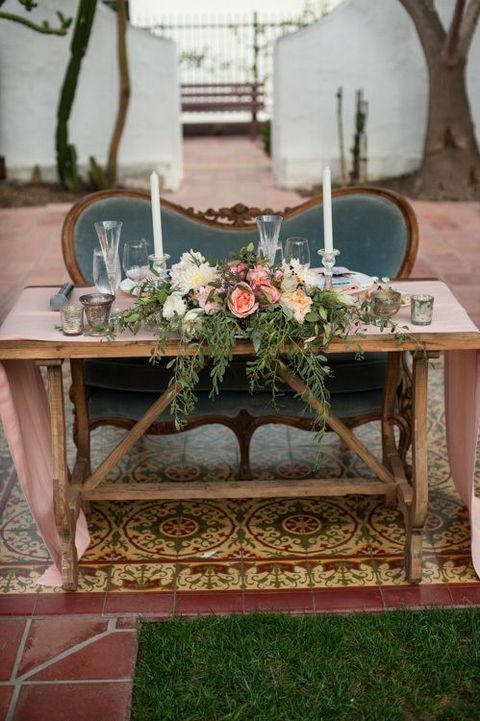 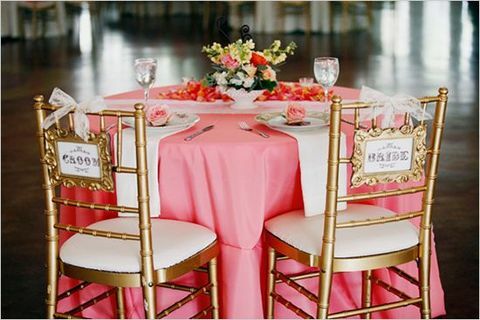 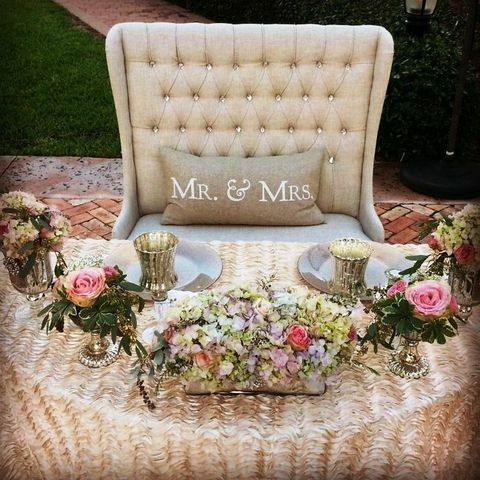 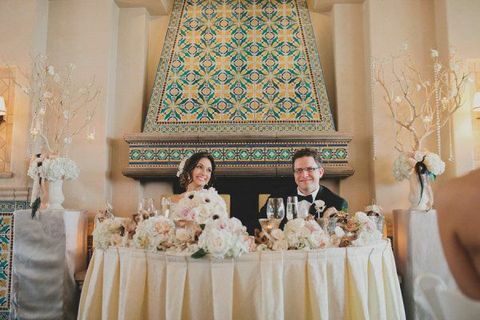 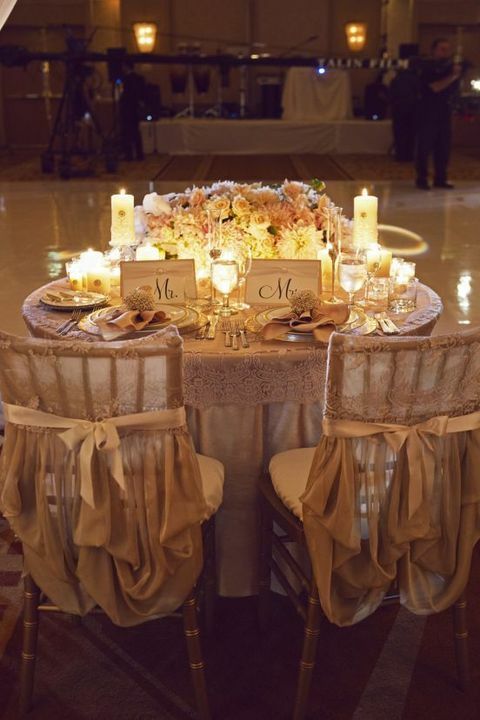 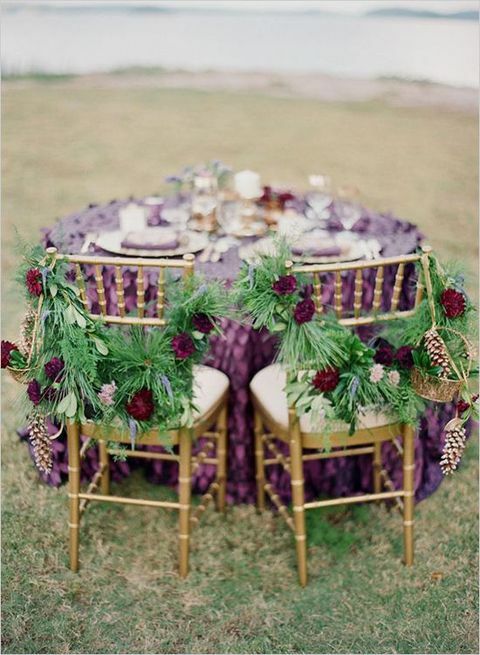 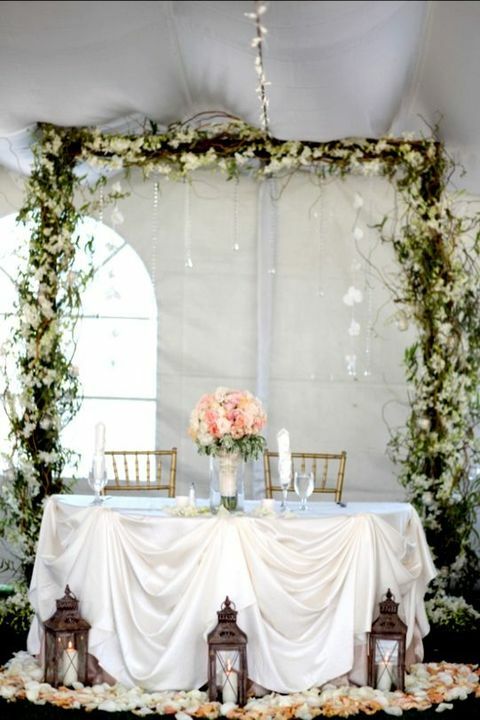 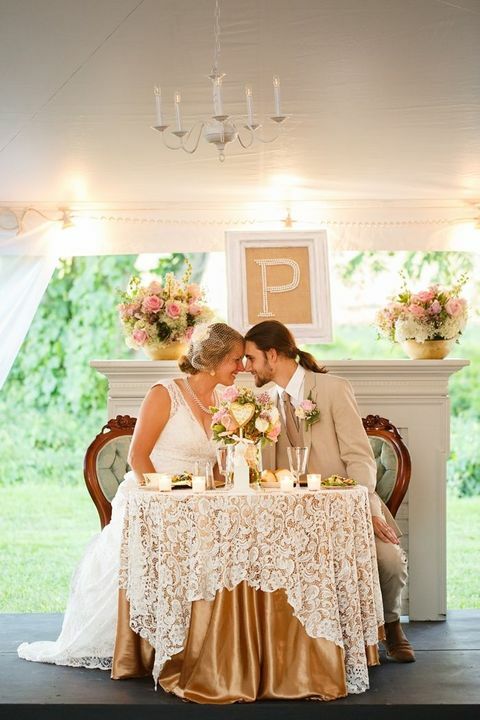 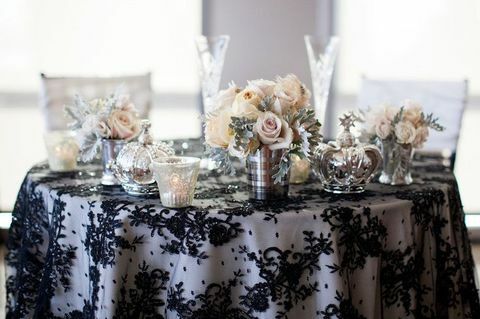 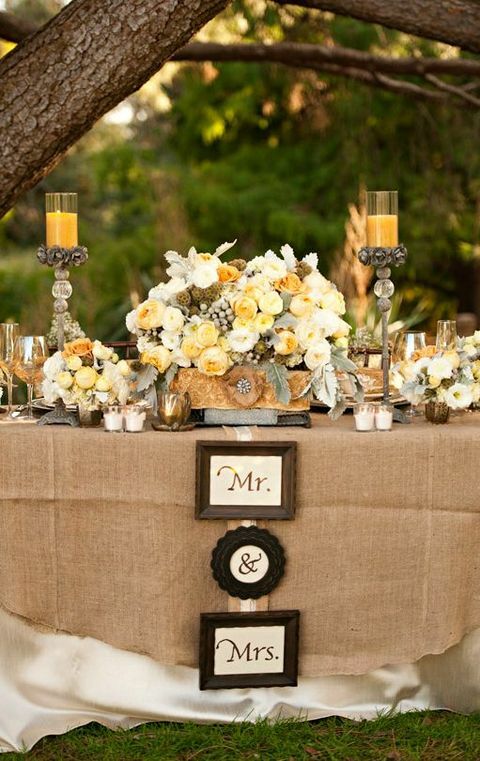 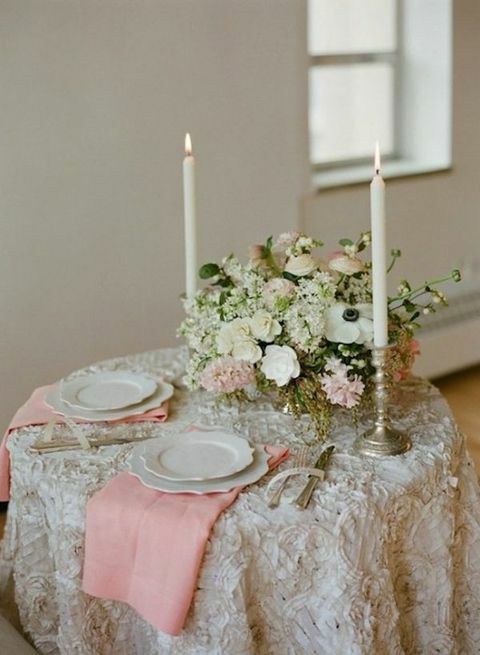 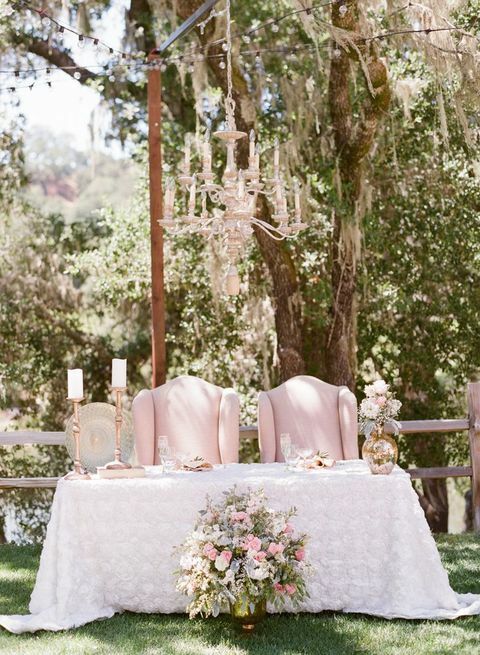 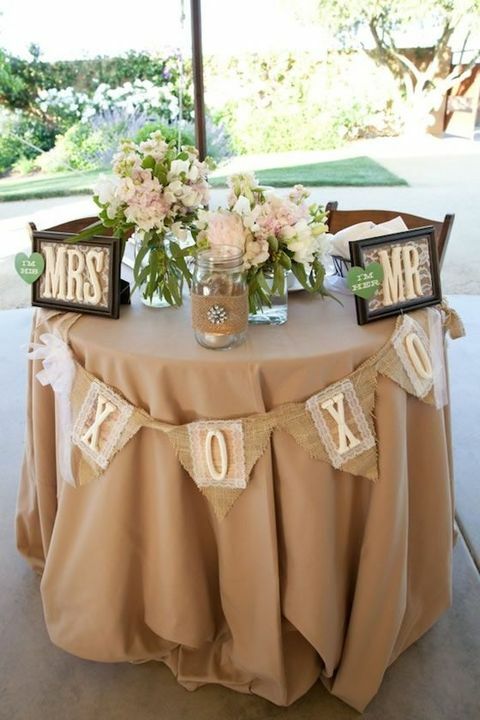 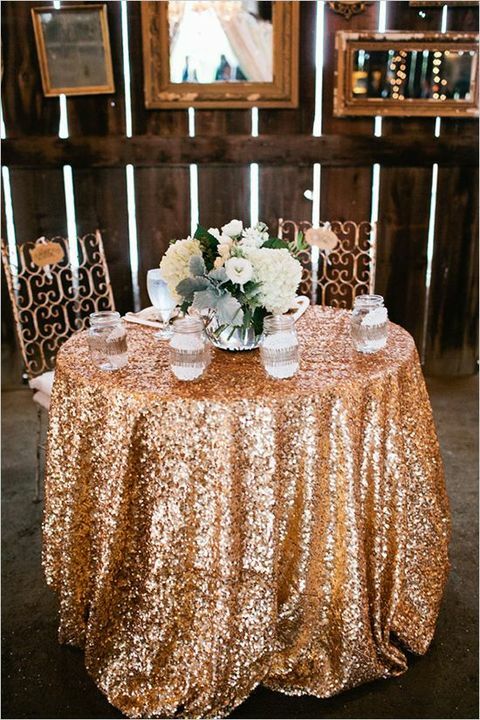 Make an accent on your sweetheart table with a sequin tablecloth, lots of flowers and rhinestones. 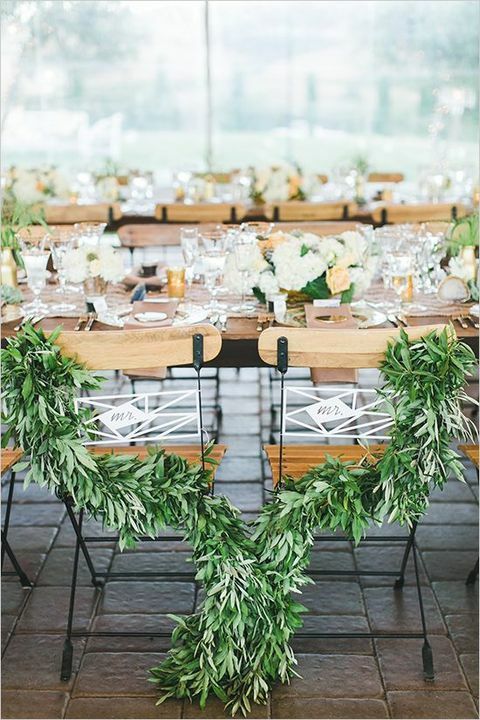 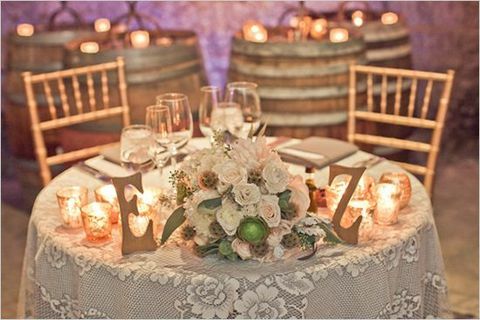 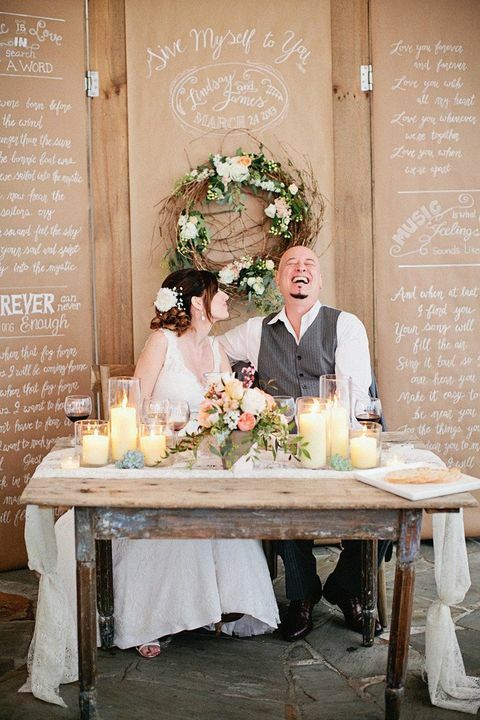 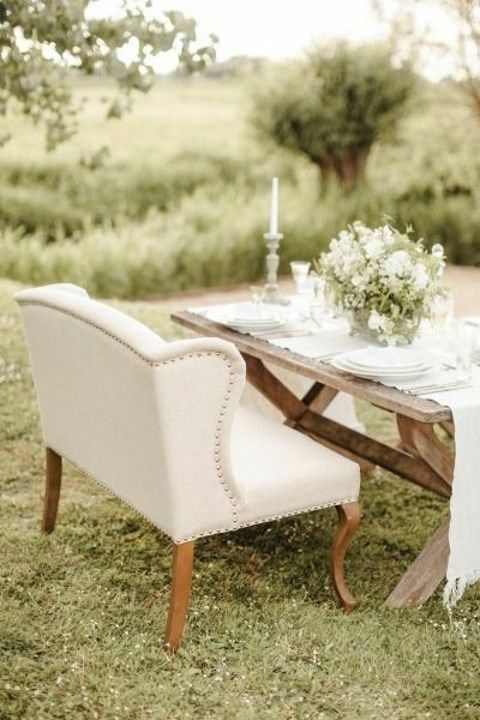 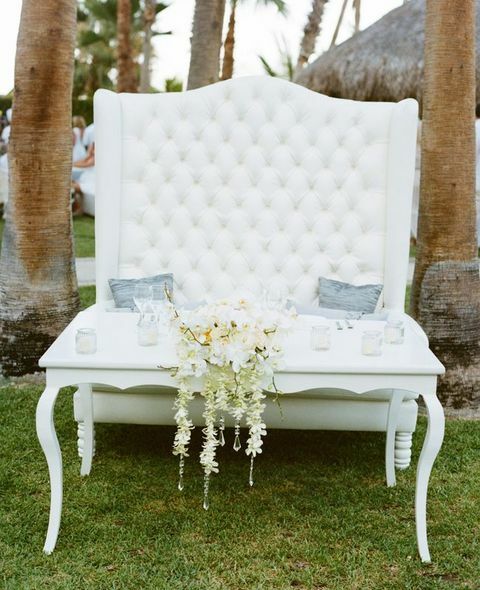 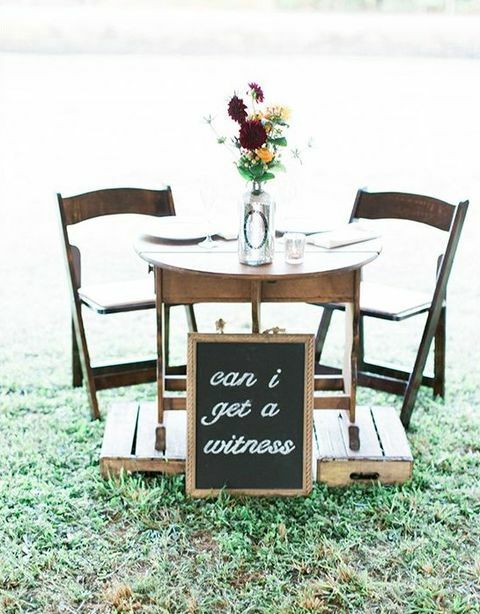 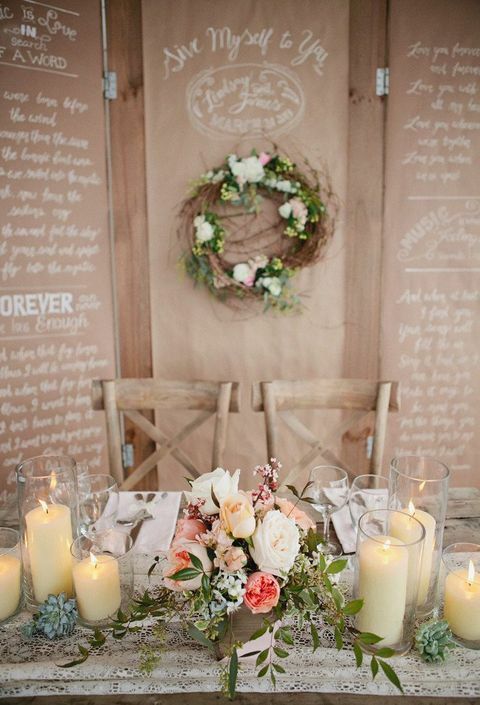 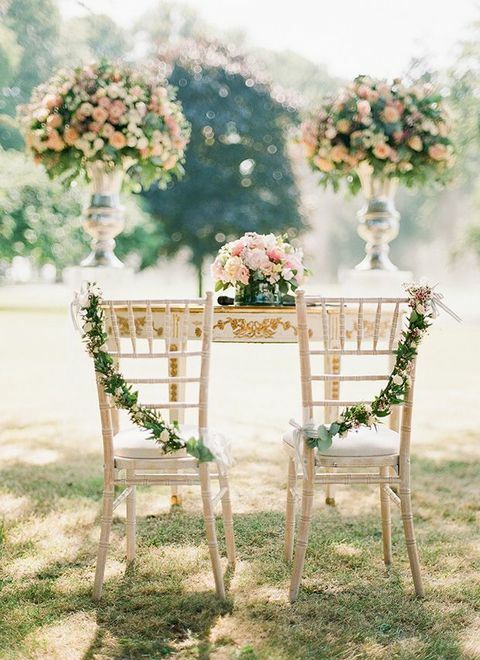 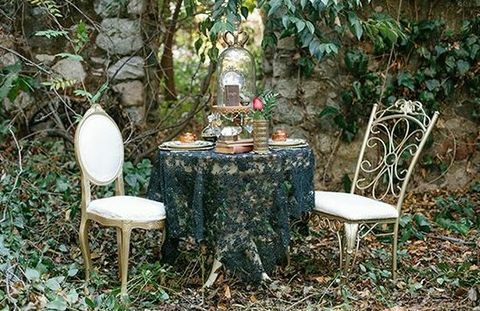 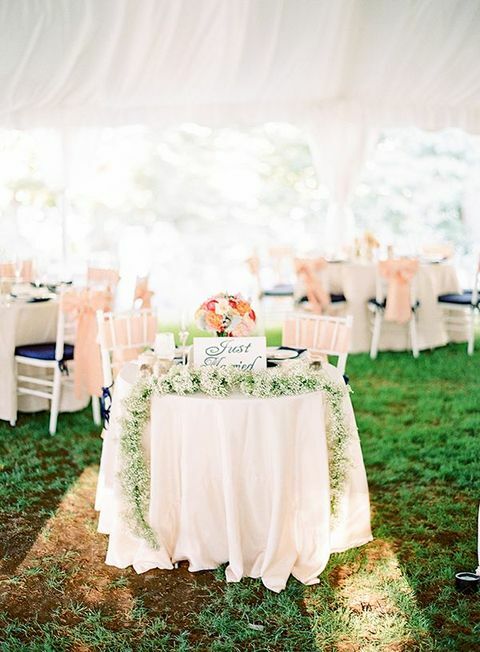 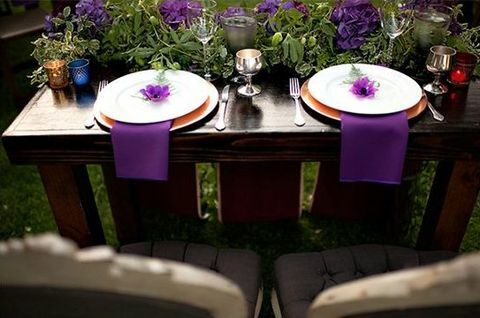 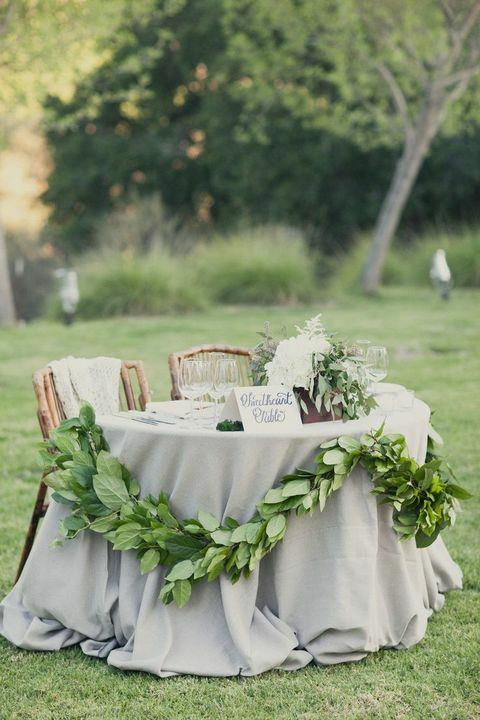 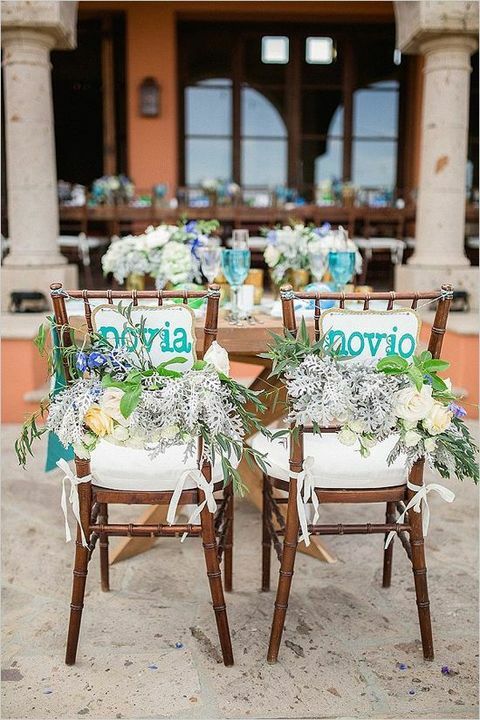 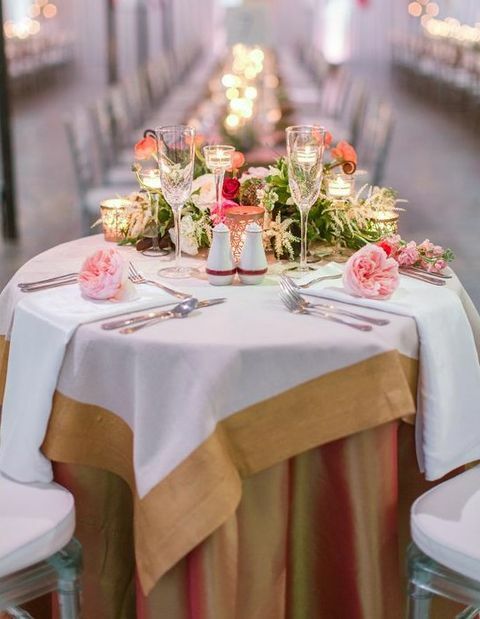 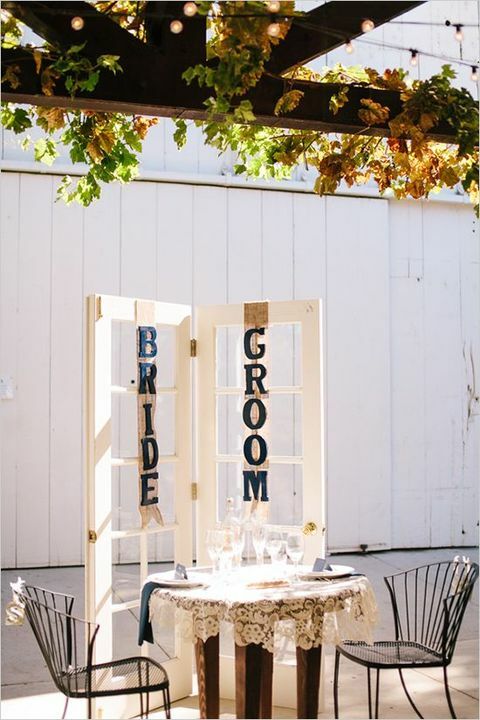 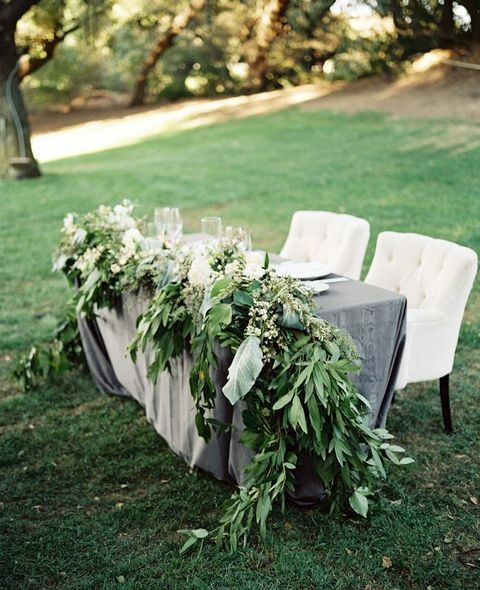 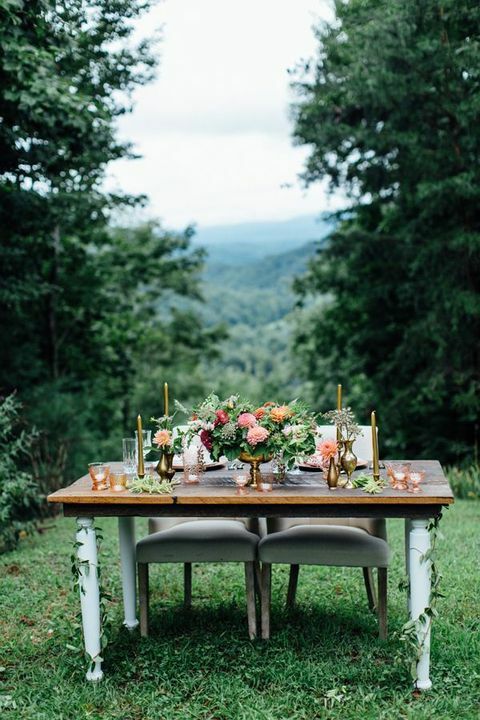 Continue your décor theme using the same colors, textiles and greenery; don’t forget your initials and your Bride&Groom signs on the chairs. 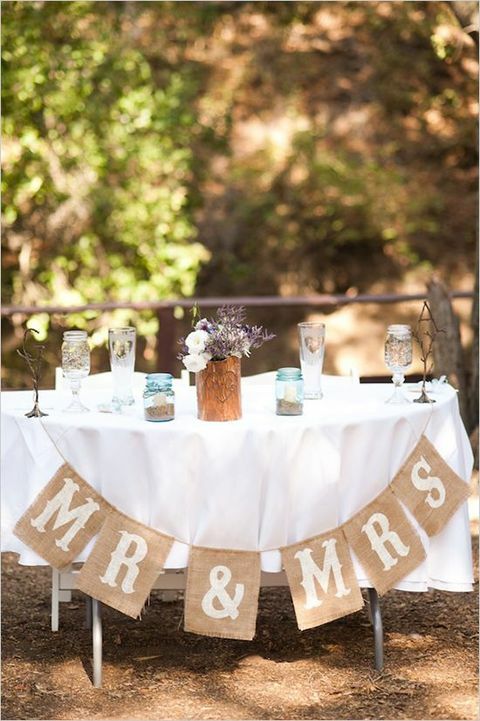 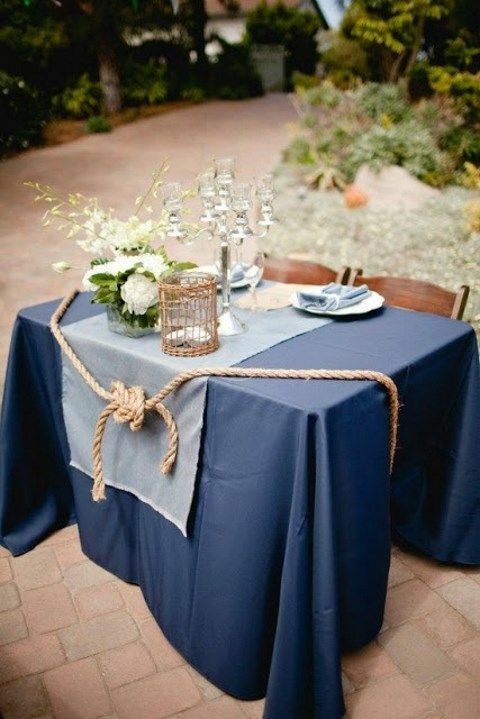 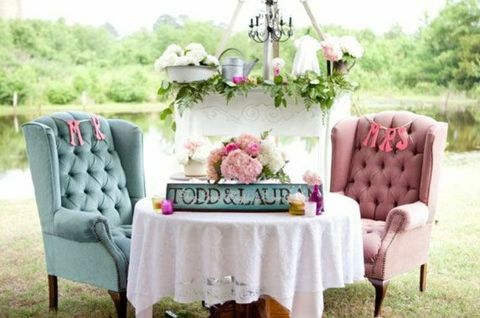 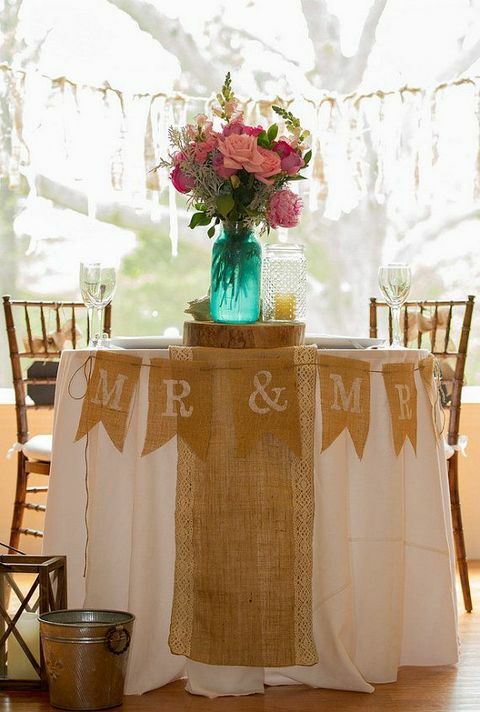 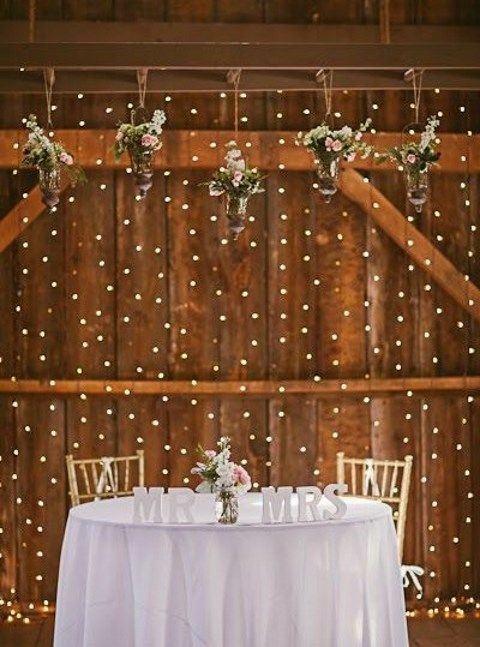 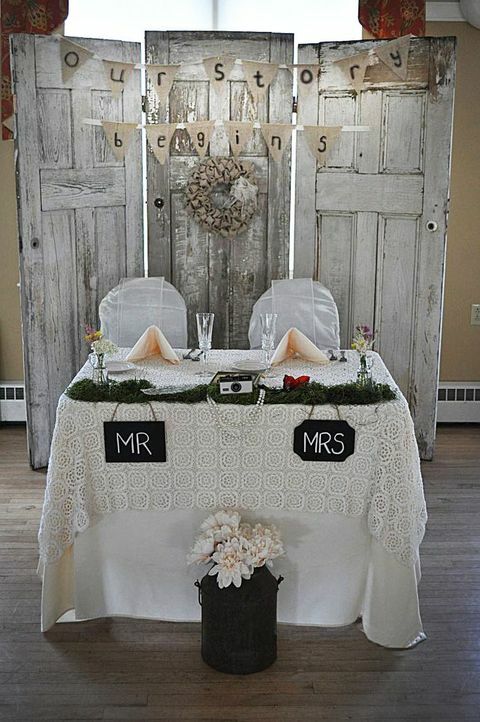 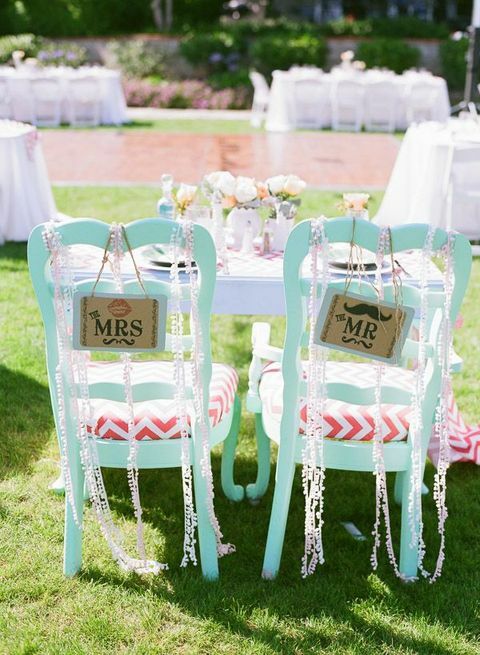 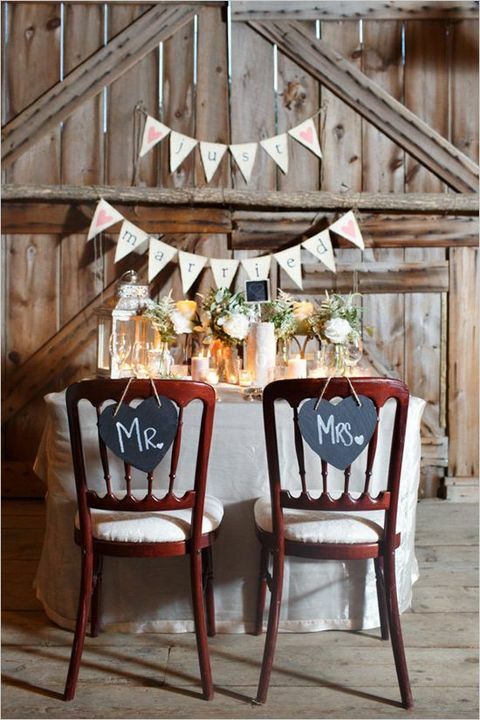 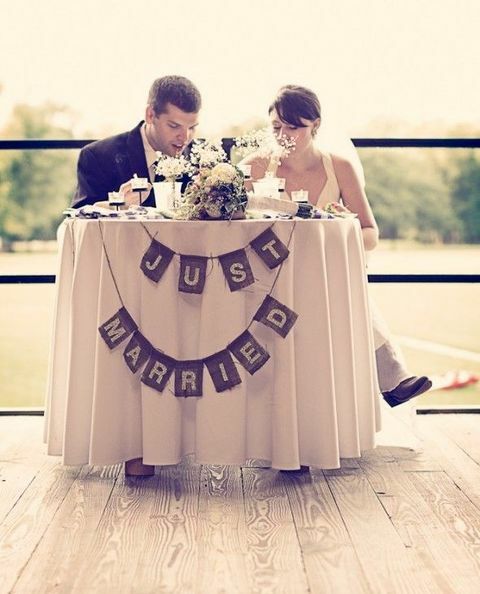 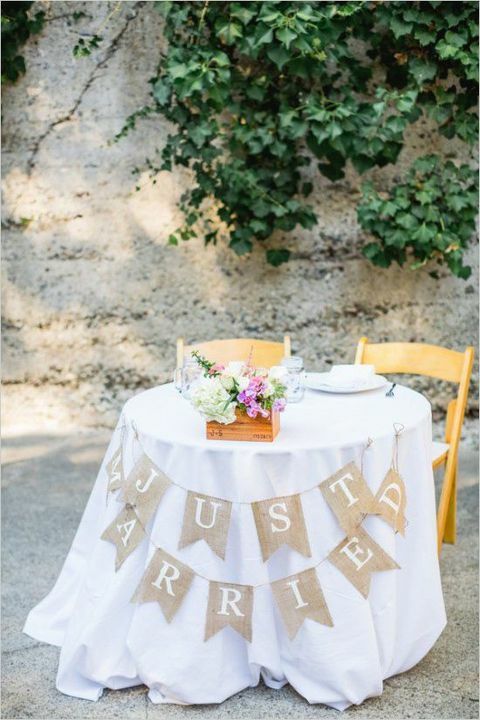 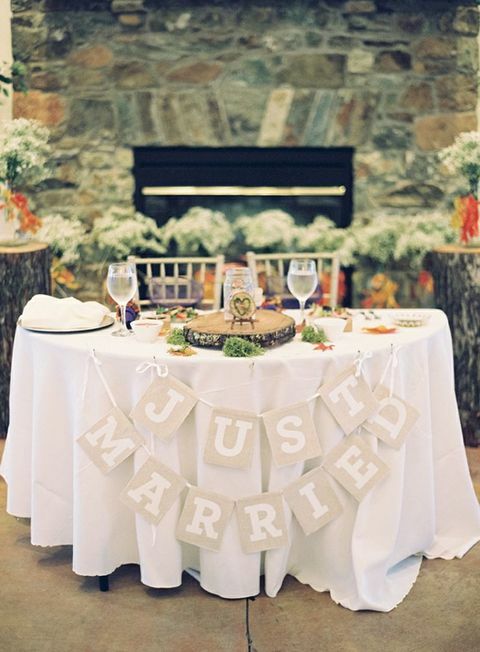 A ‘Just Married’ bunting or a ‘Mr.&Mrs.’ garland will show everyone where you sit. 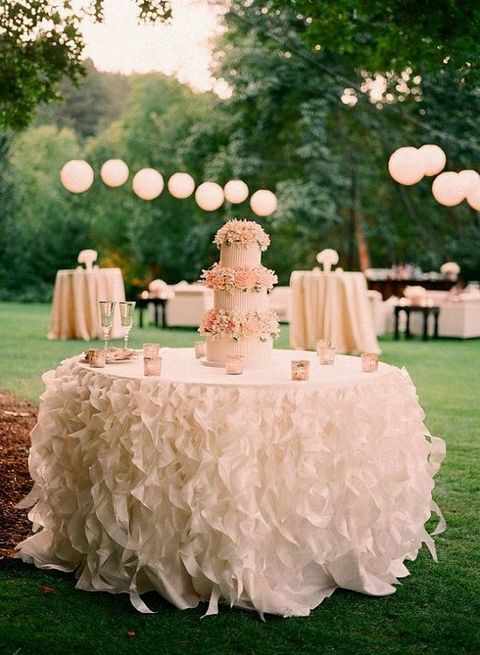 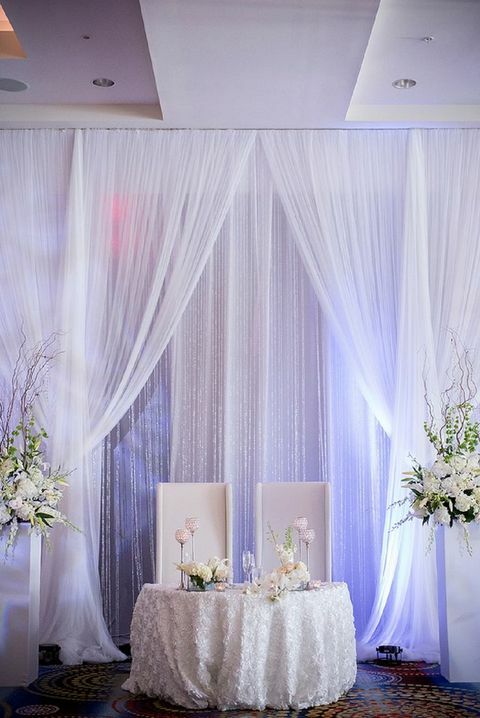 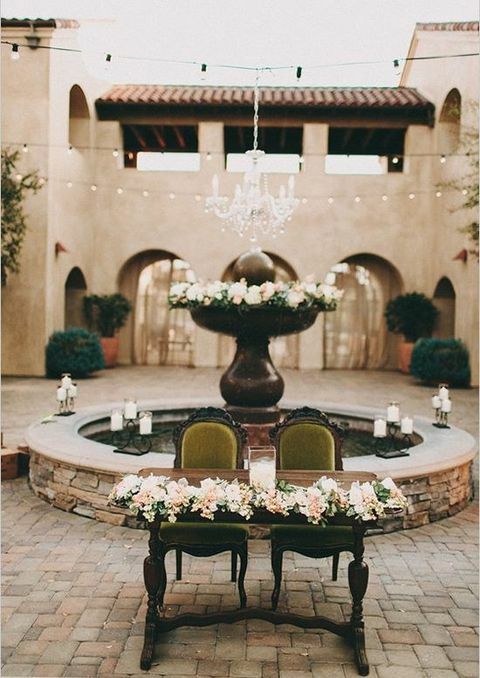 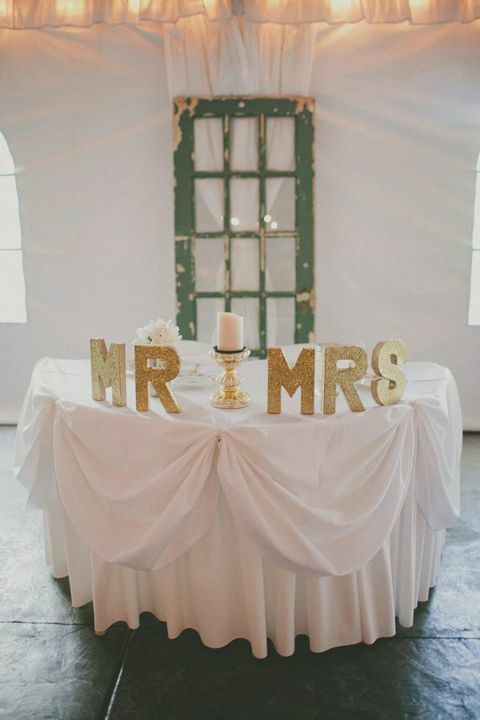 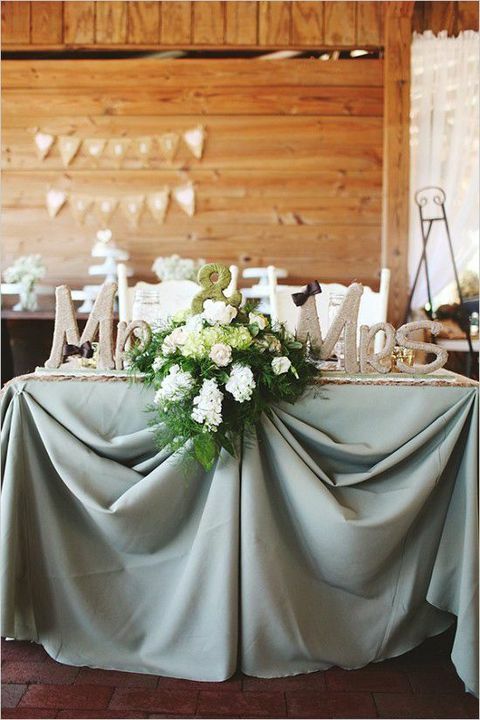 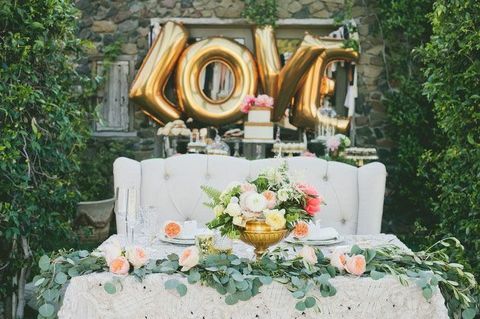 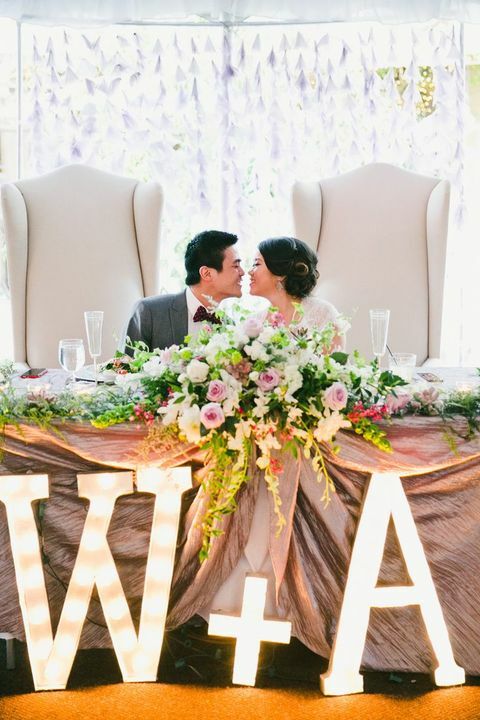 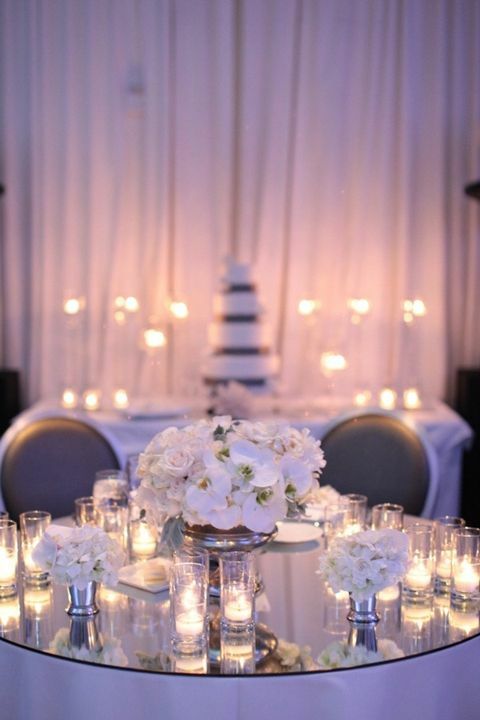 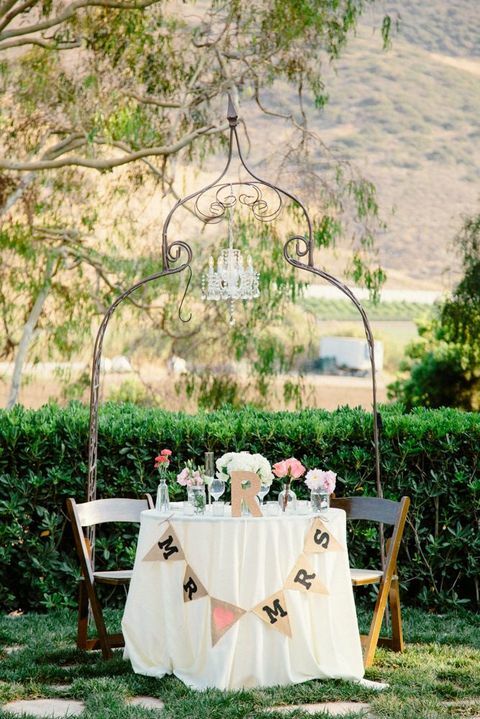 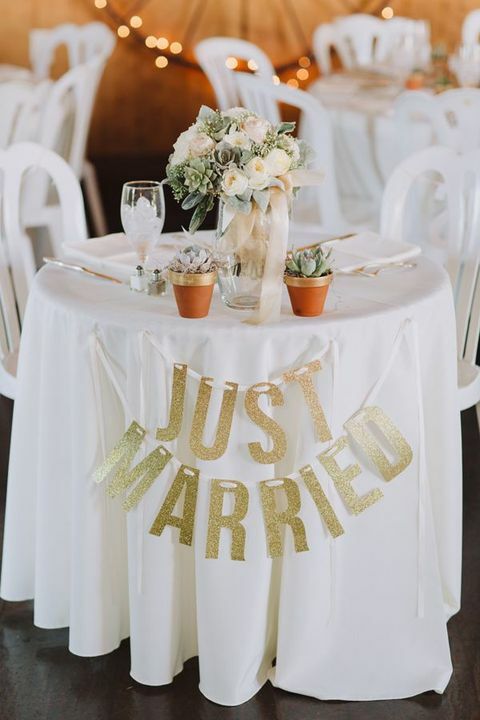 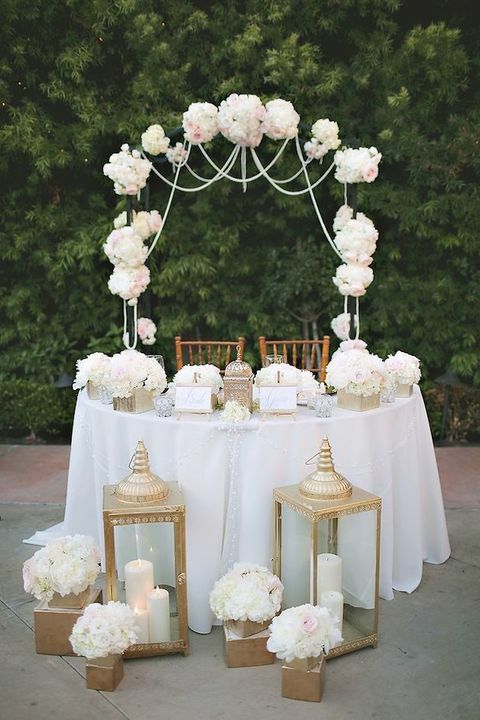 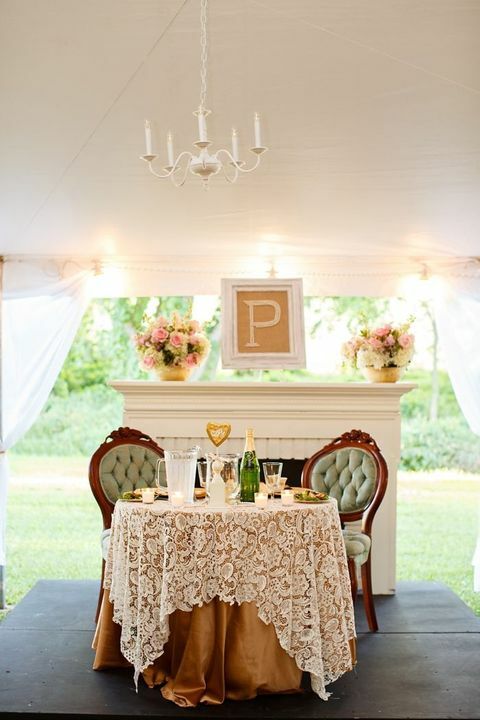 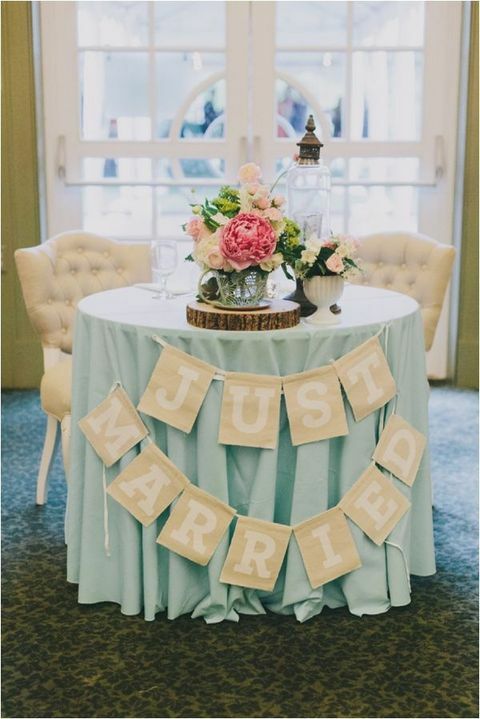 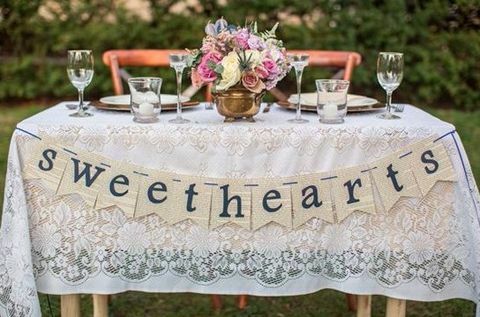 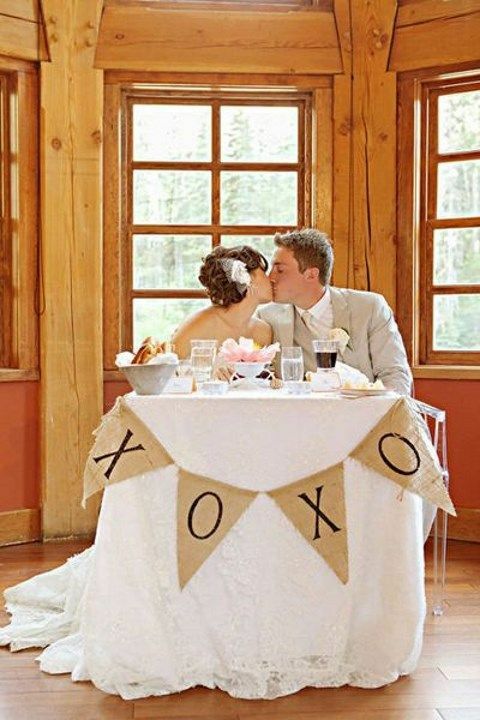 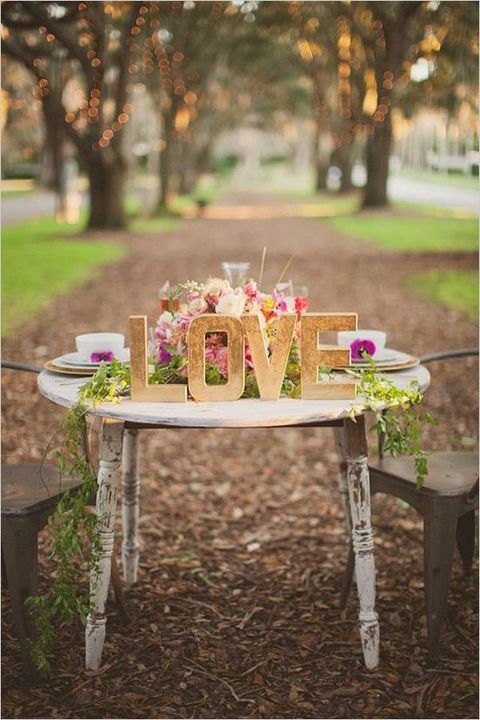 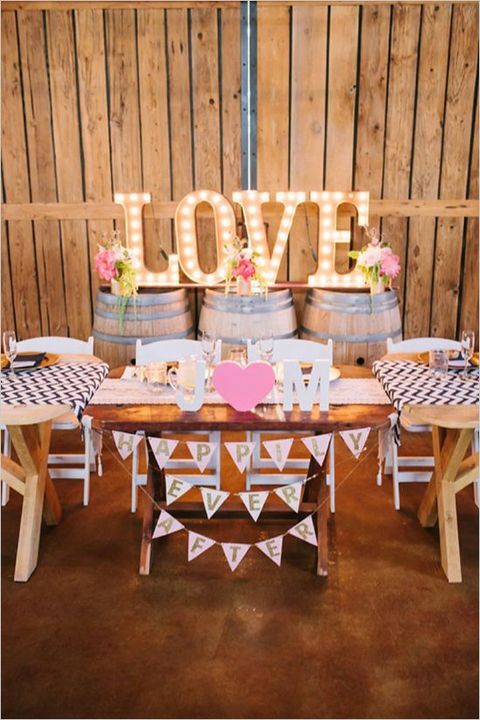 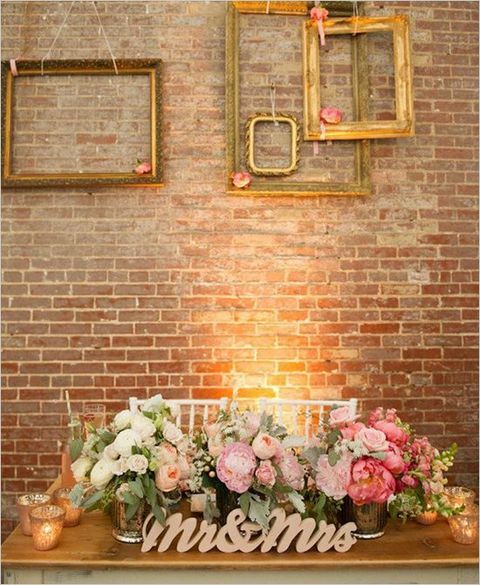 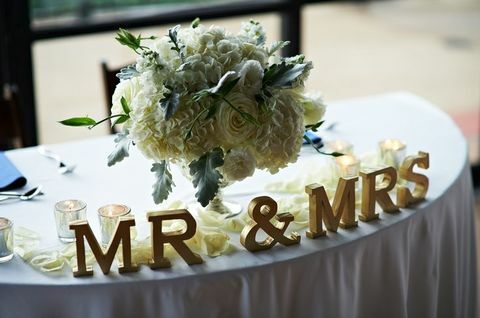 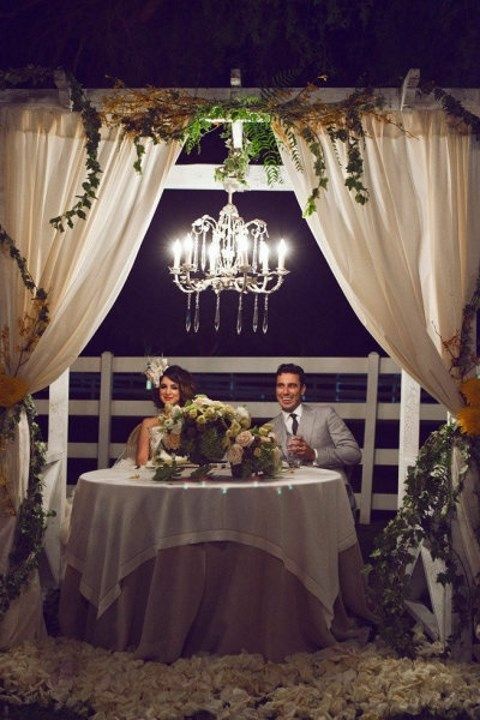 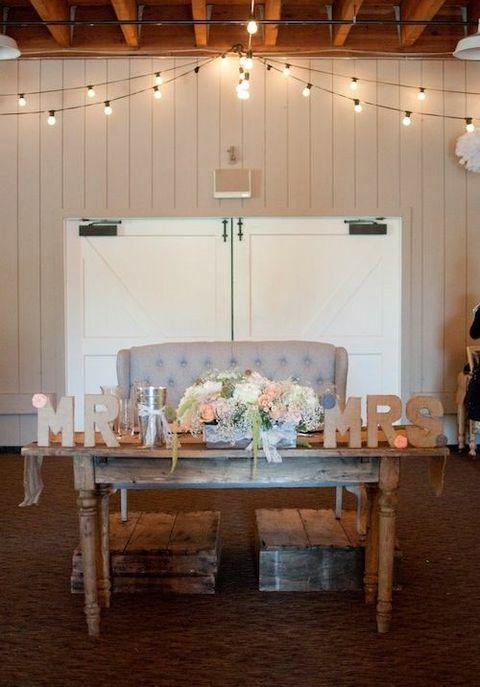 Balloons, curtains, flower walls, signs and lights are a way to highlight your sweetheart table. 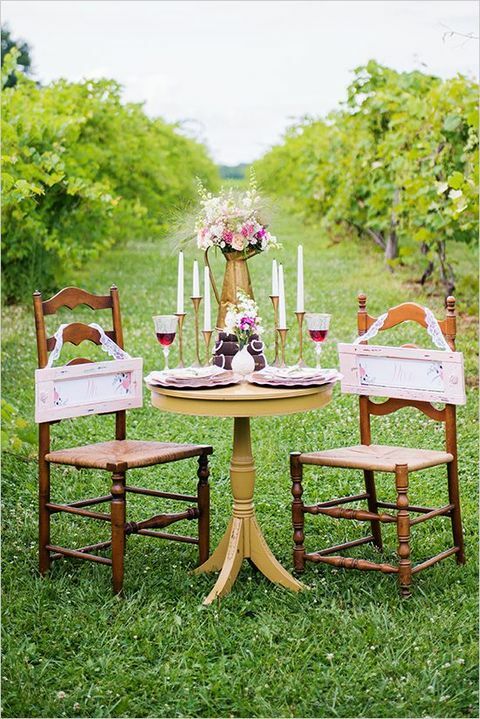 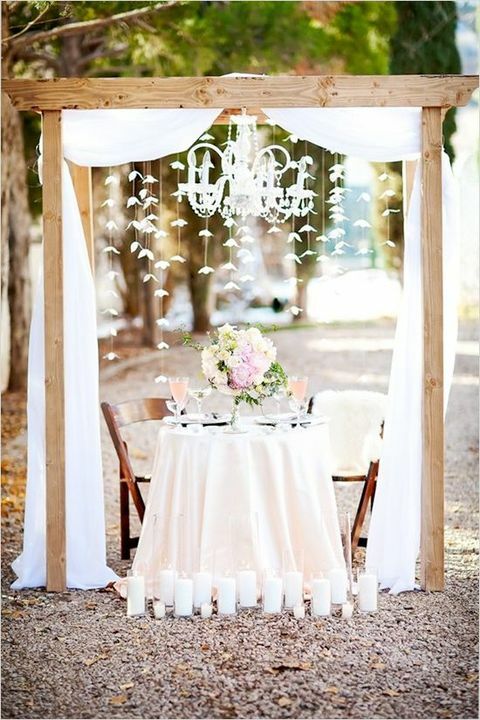 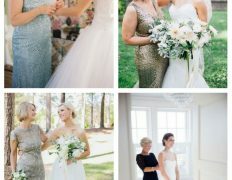 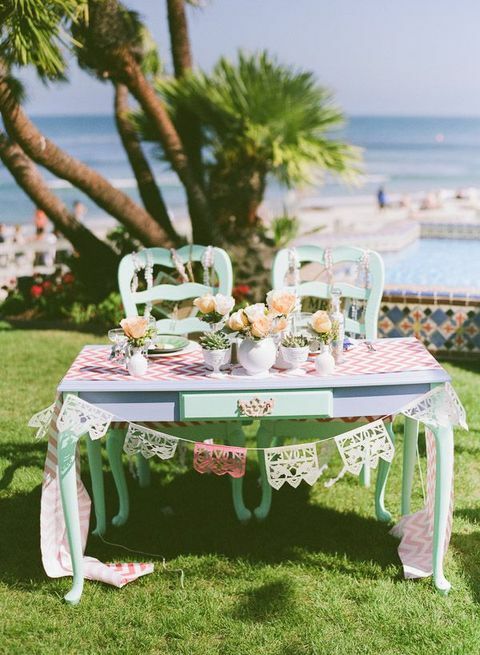 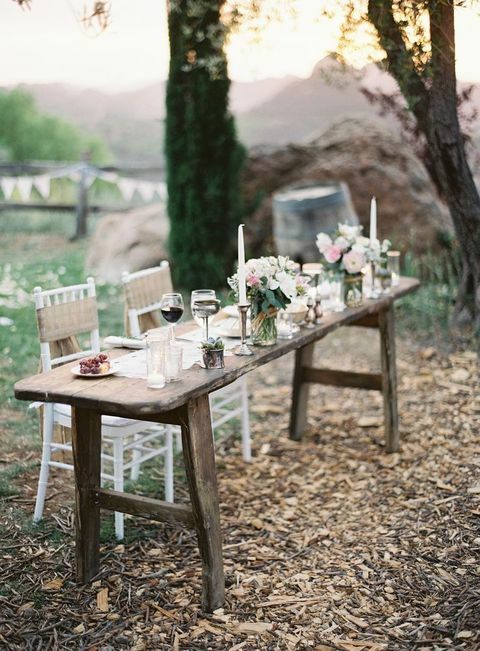 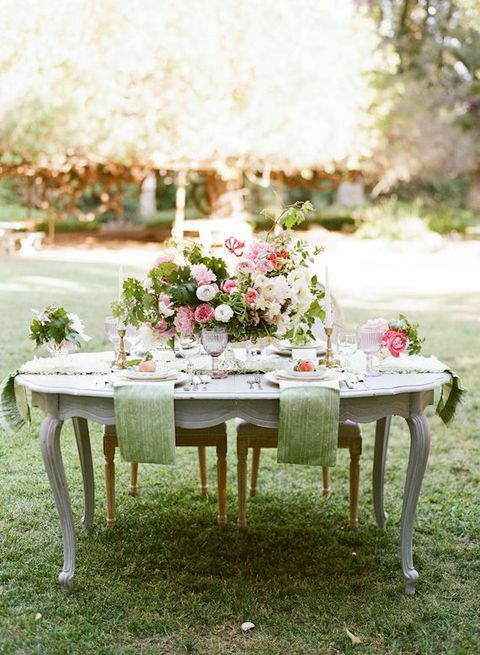 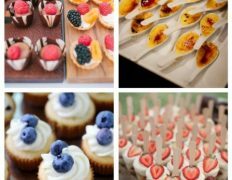 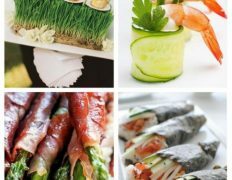 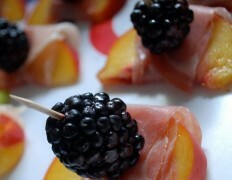 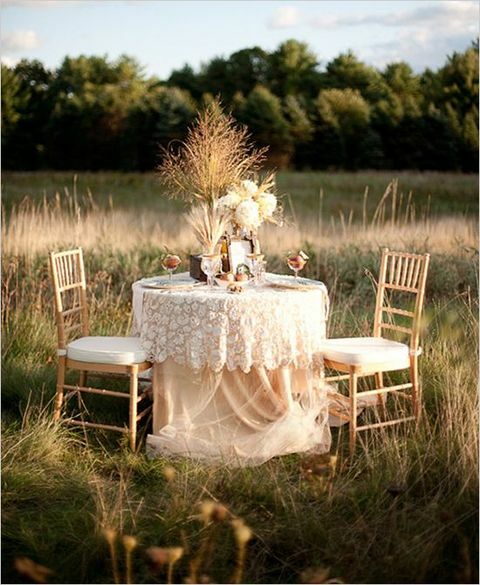 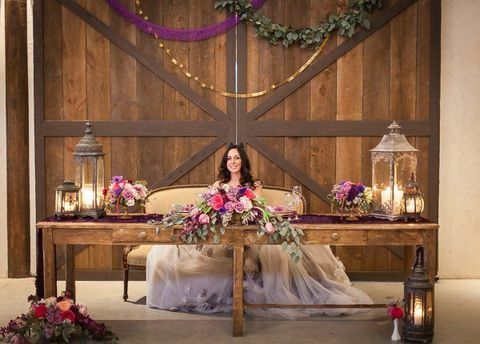 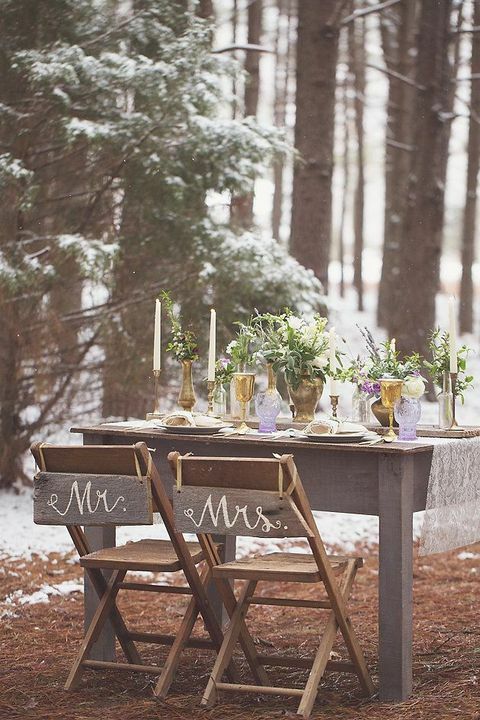 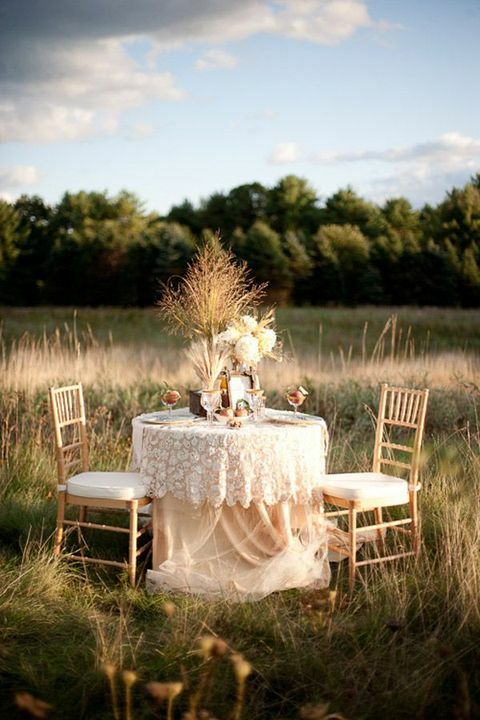 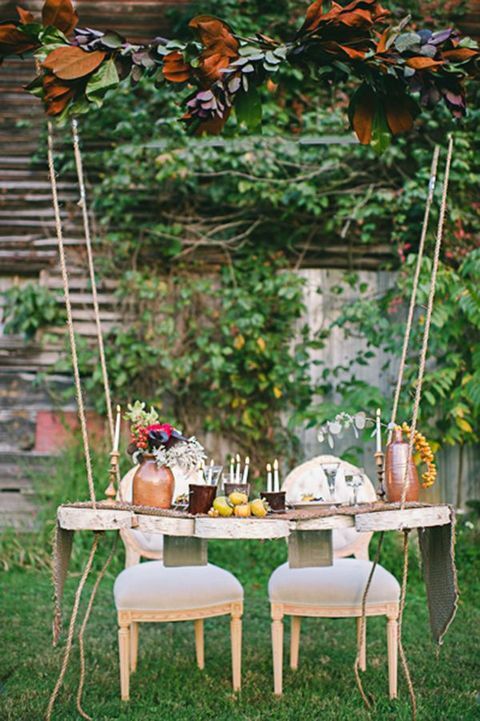 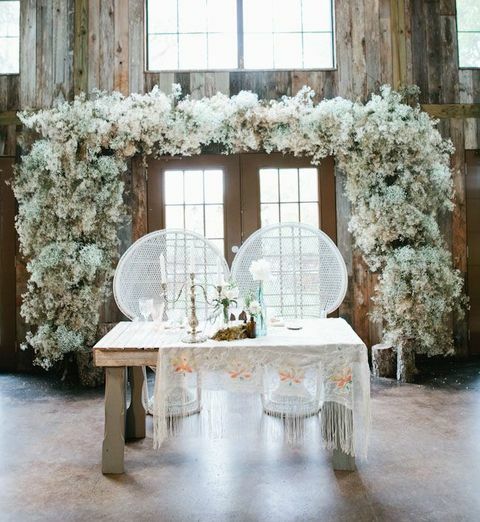 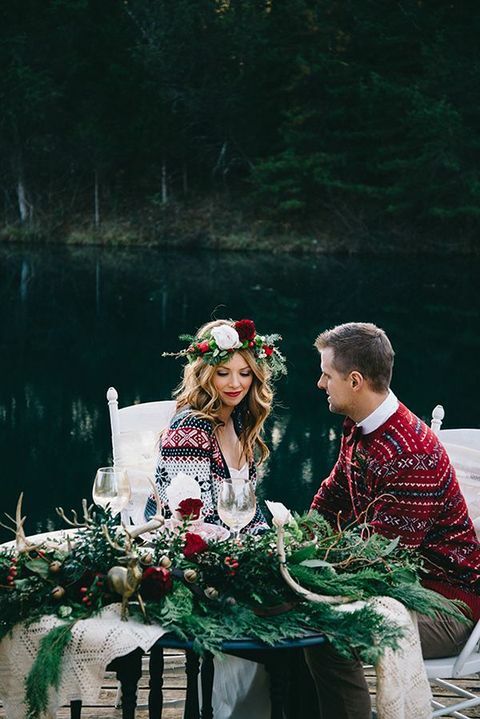 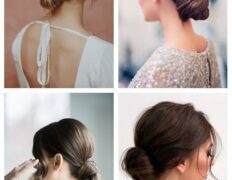 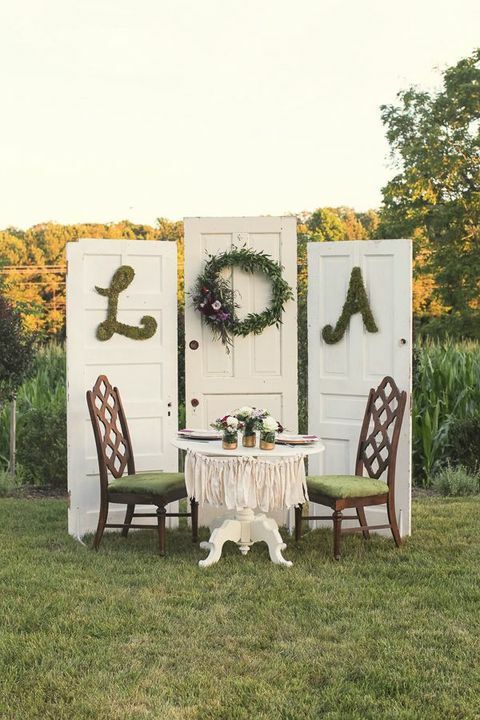 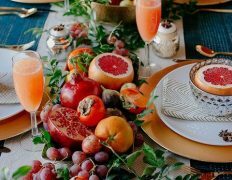 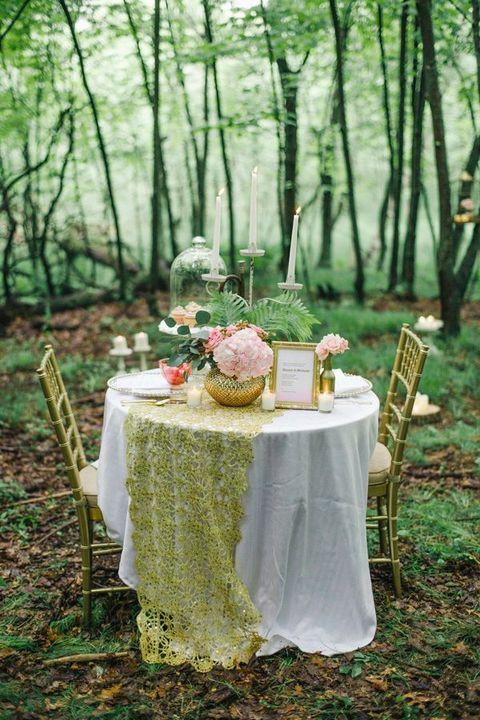 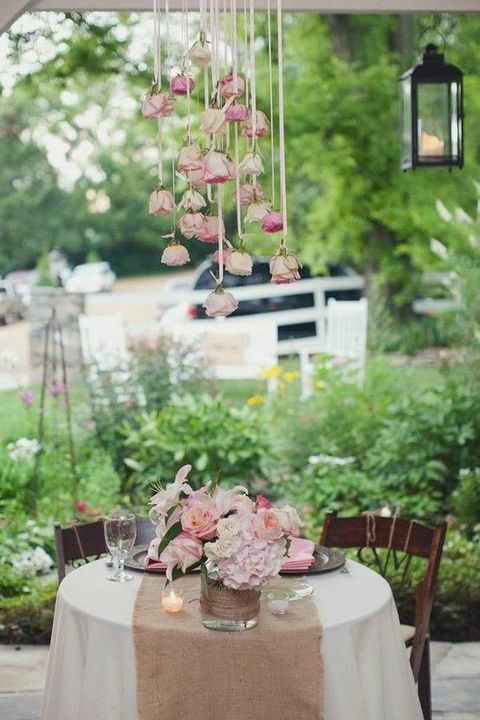 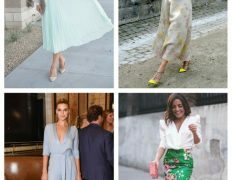 Get inspired by beautiful ideas below and enjoy your wedding!